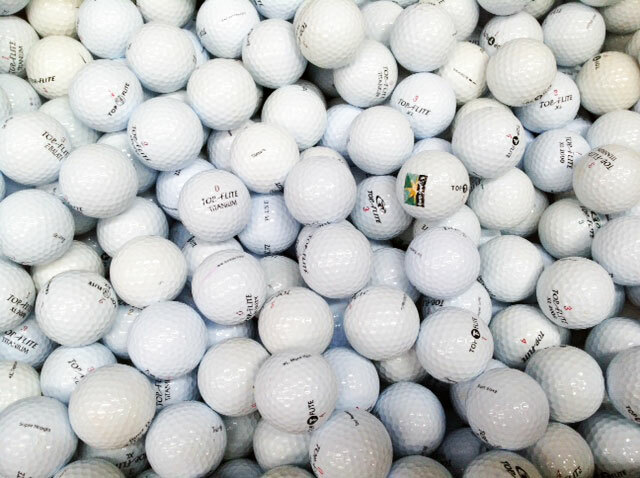 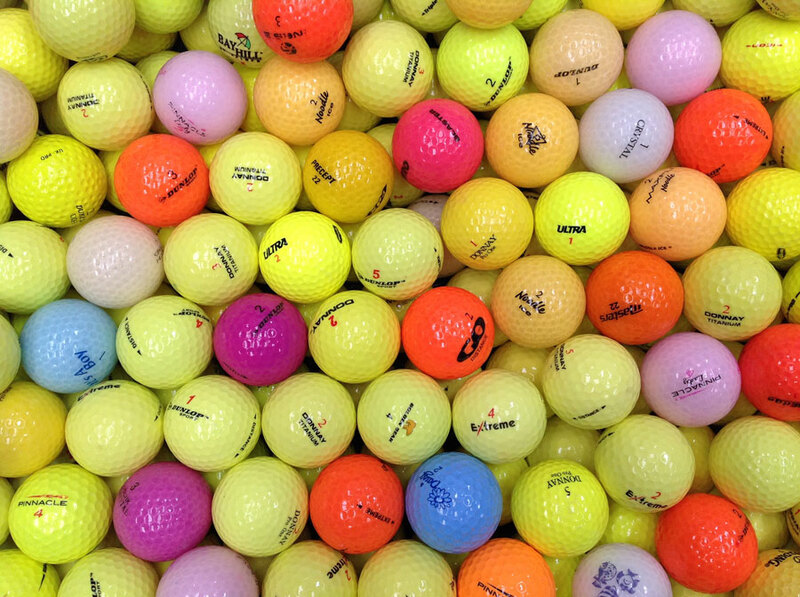 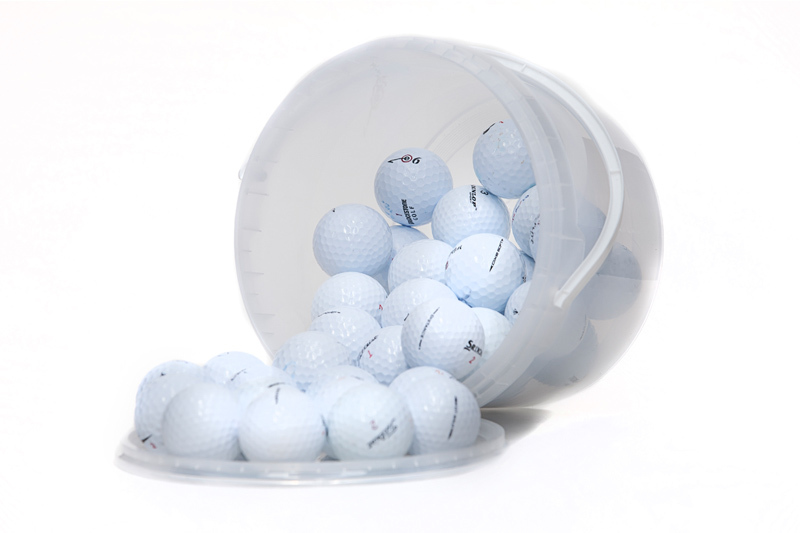 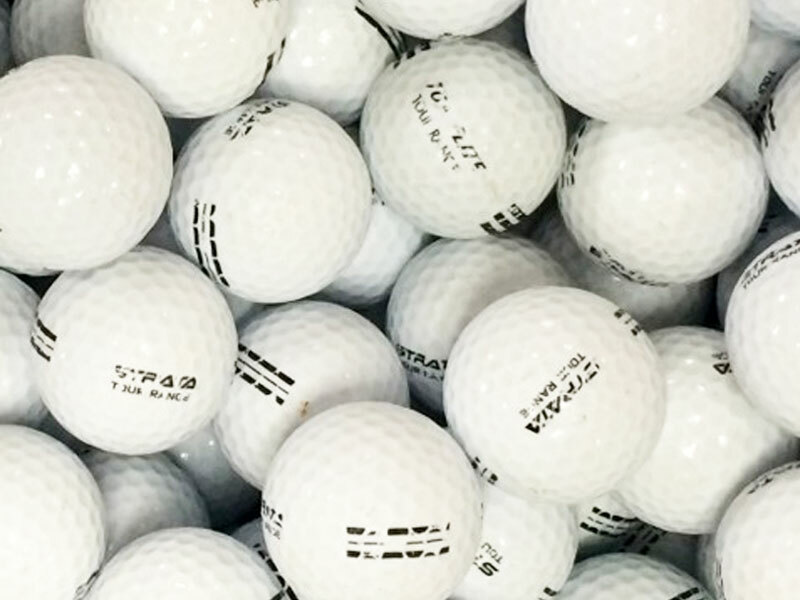 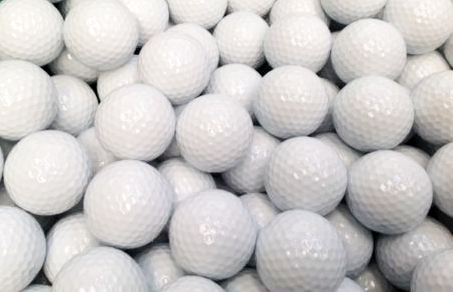 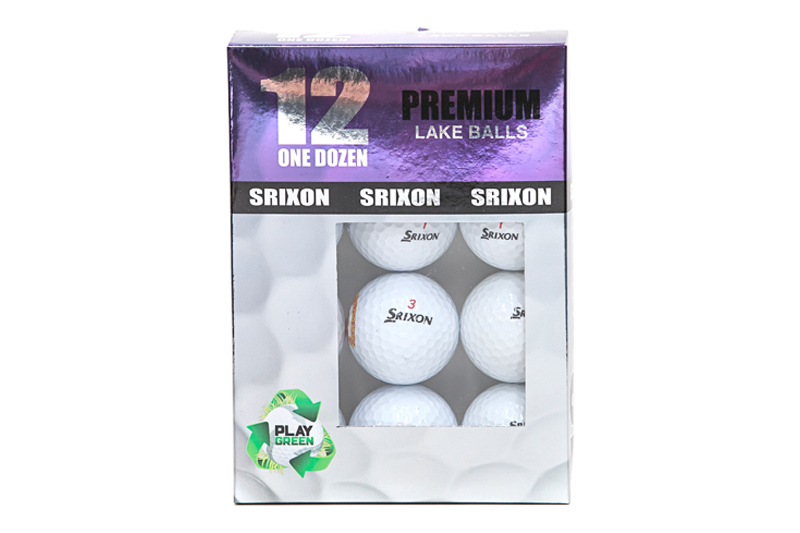 Lake Golf Balls are used & recycled golf balls specialists. 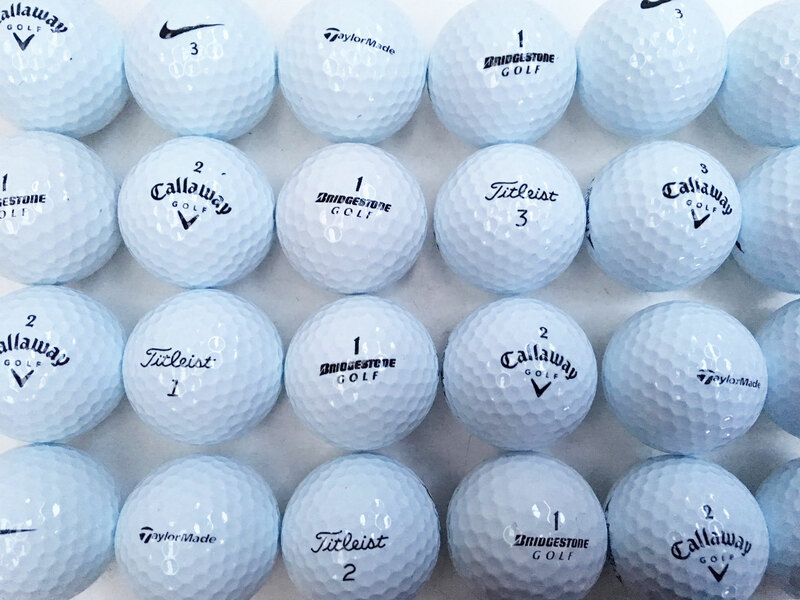 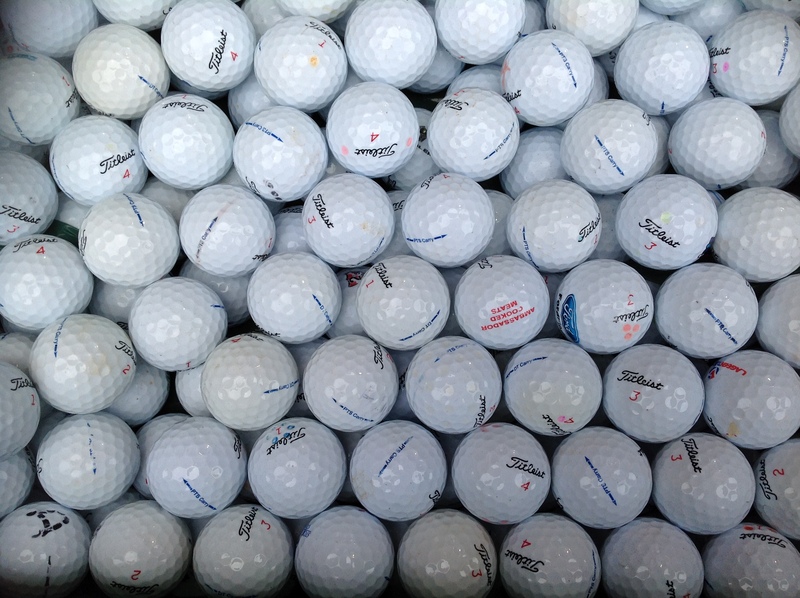 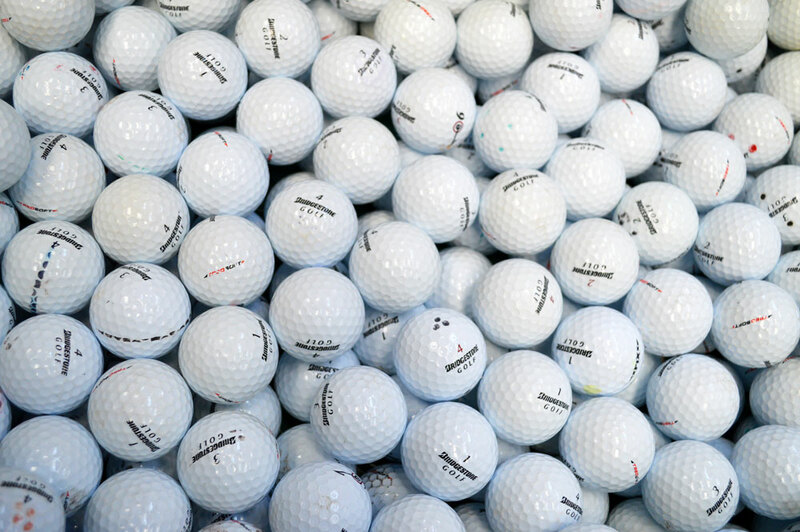 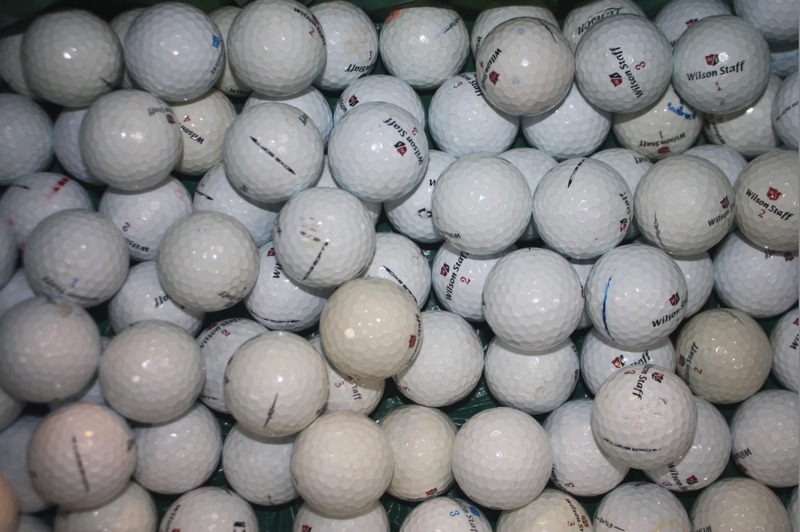 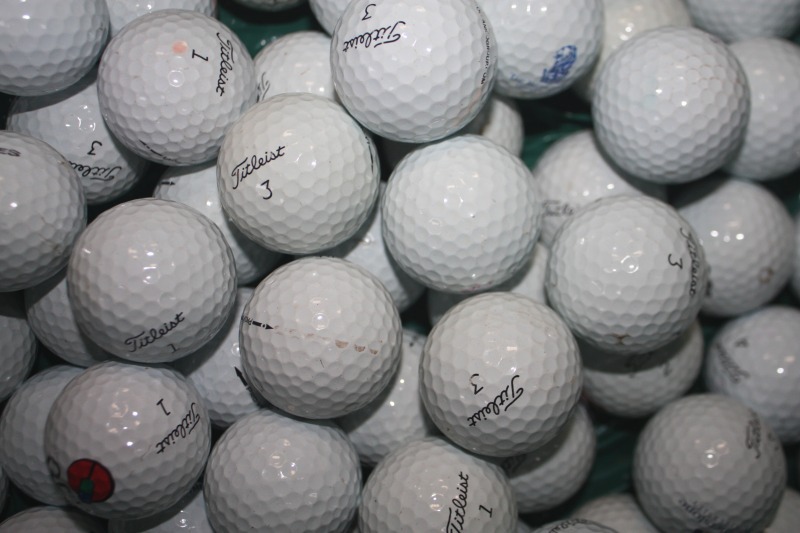 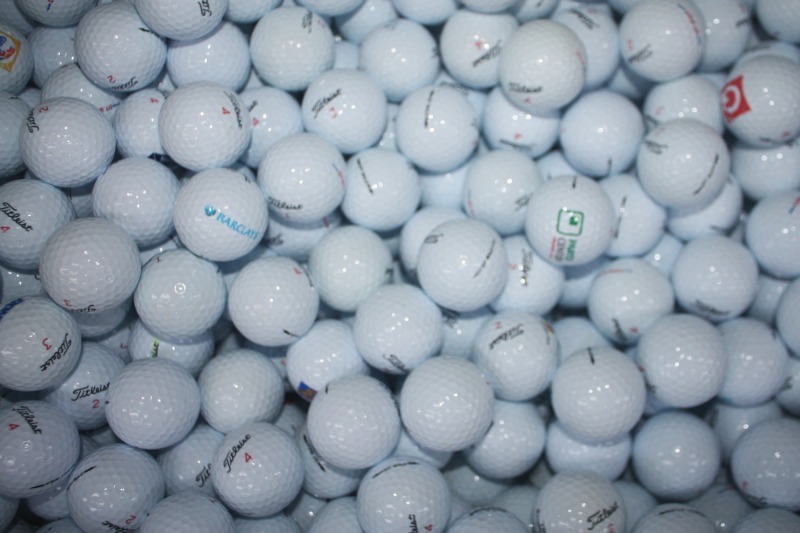 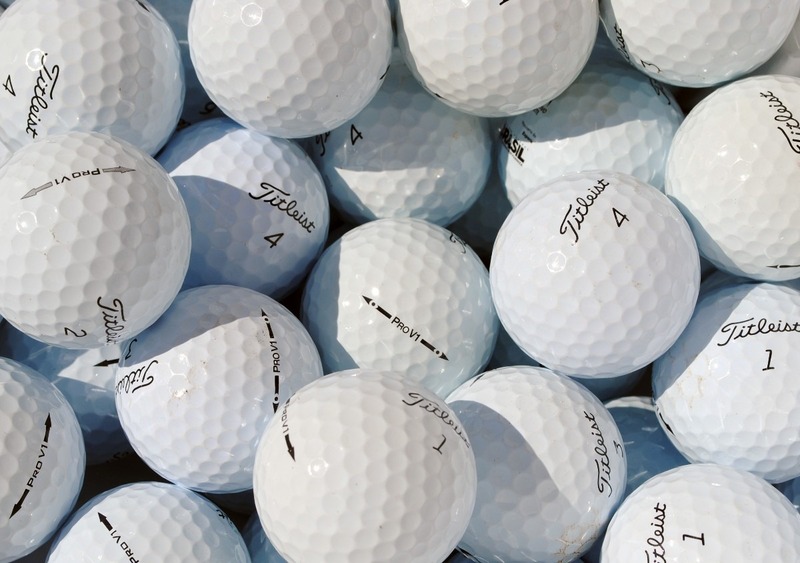 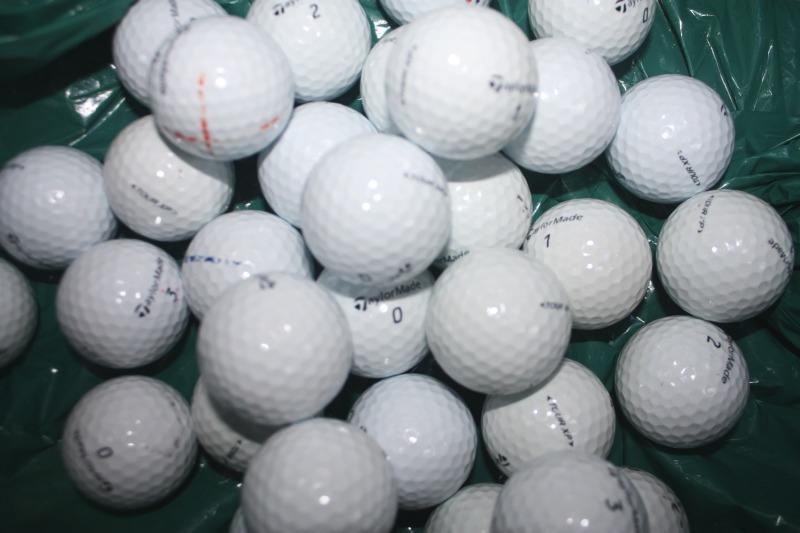 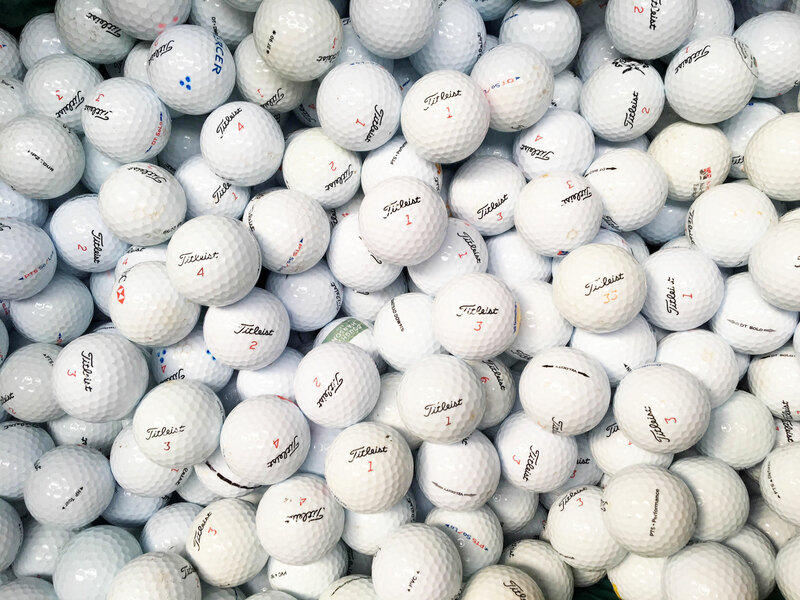 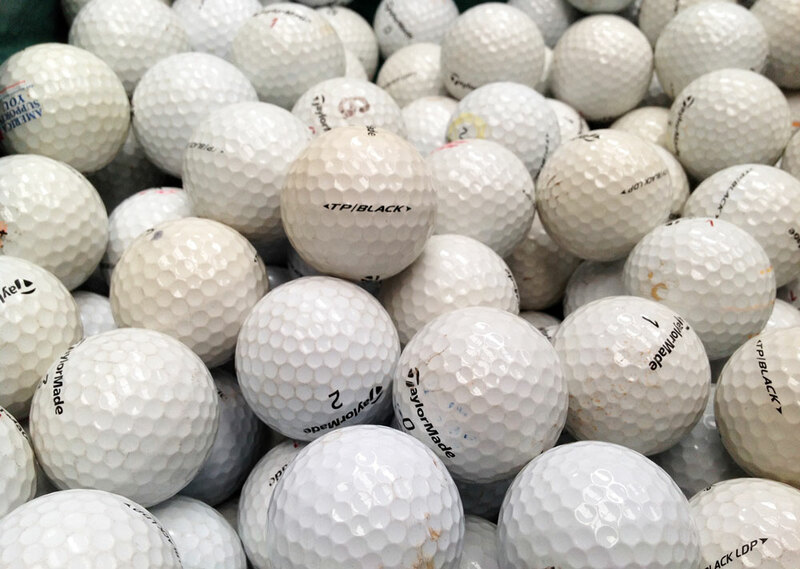 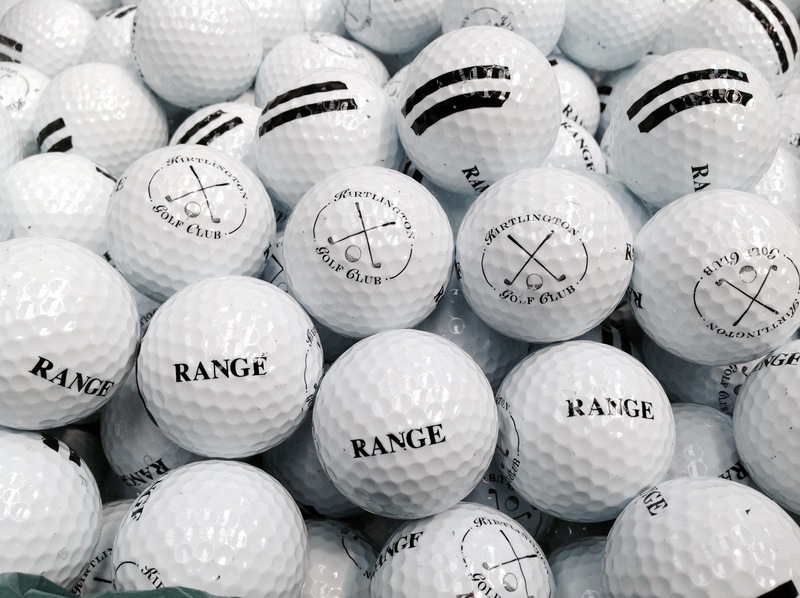 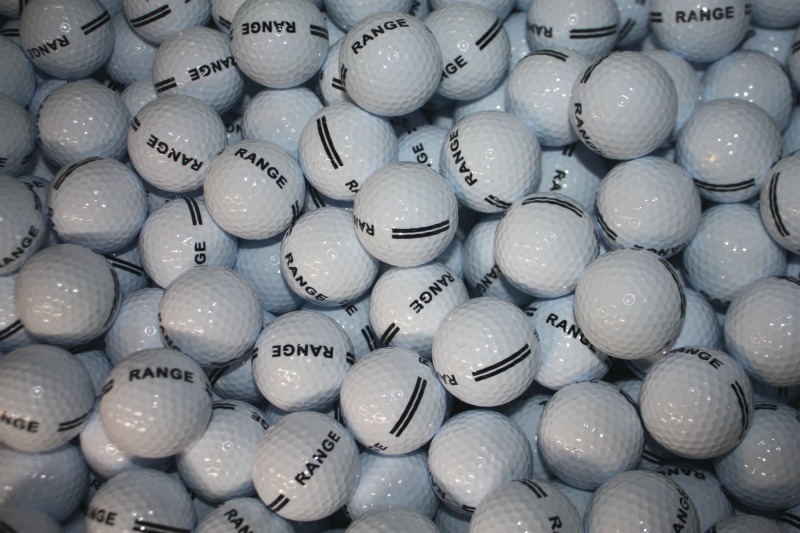 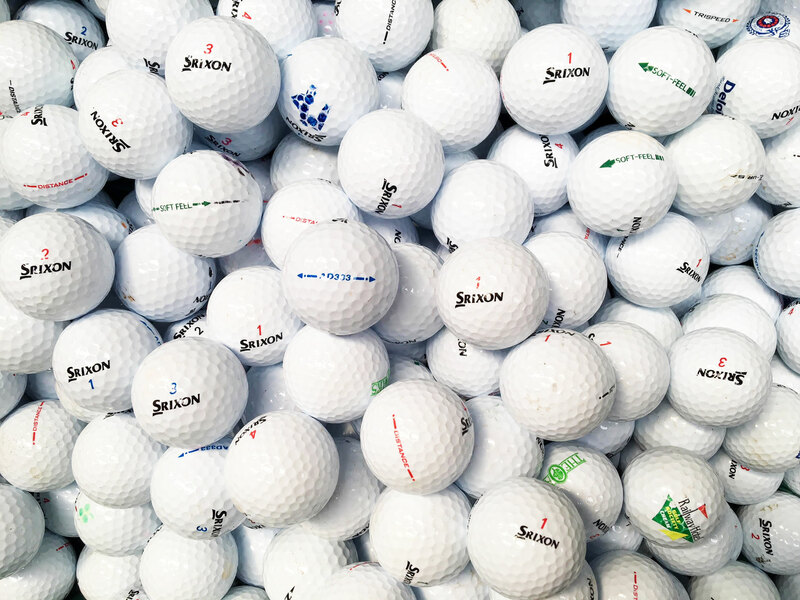 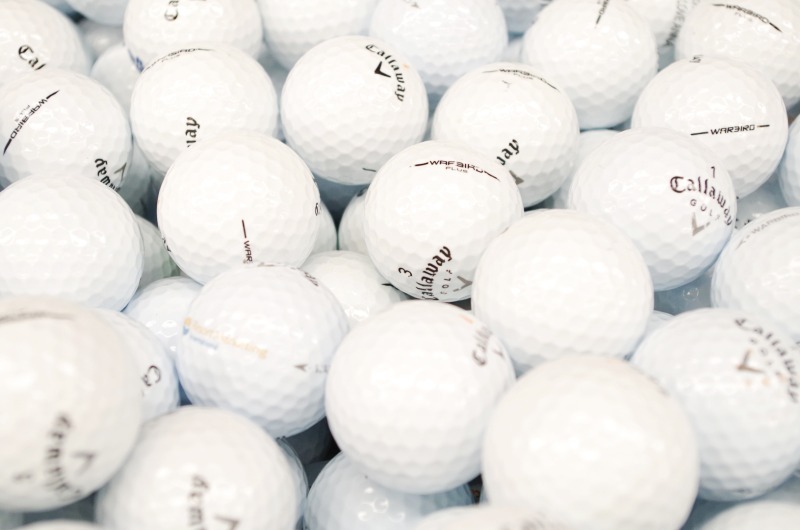 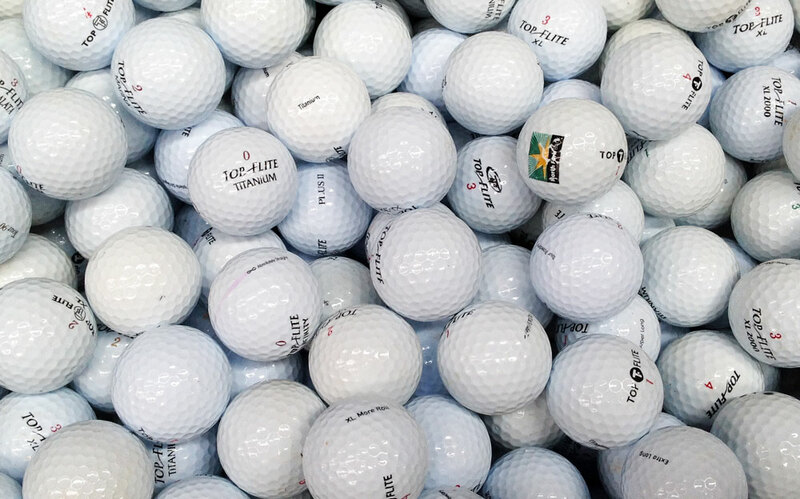 We stock used golf balls by Titleist, Srixon, Callaway, Taylormade, Nike, Bridgestone & Pinnacle. 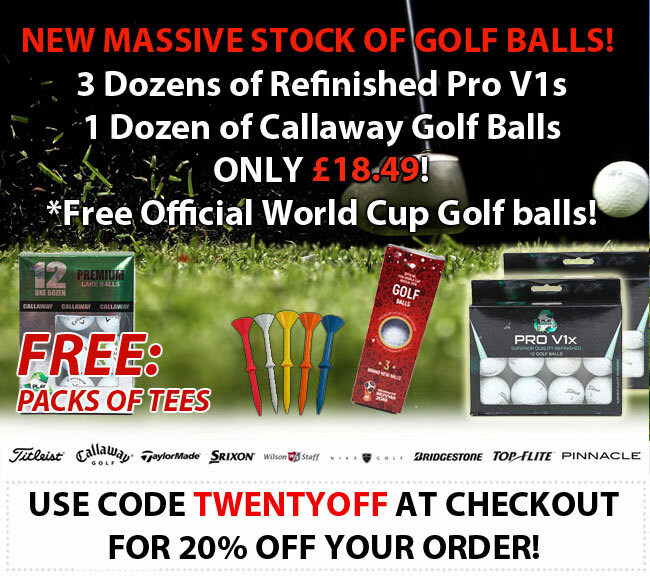 3 Dozen Pro V1s and 1 Dozen Callaway Golf Balls, Free World Cup Balls! 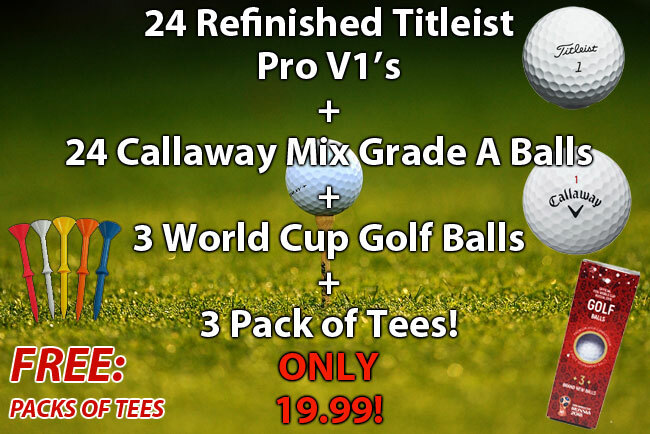 24 Refinished Pro V1s + 24 Callaway + 3 World Cup Balls & Tees! 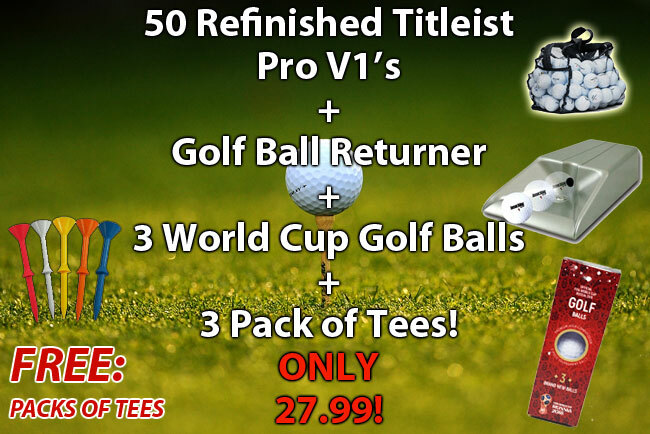 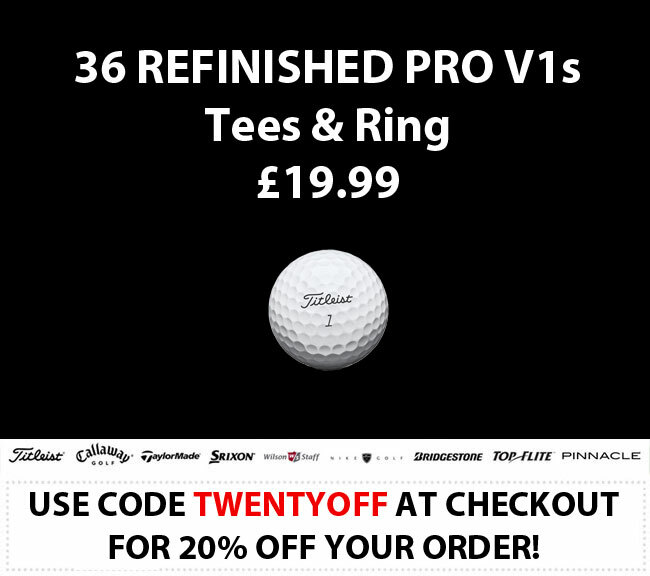 36 Refinished Titleist Pro V1 Golf Balls , Tees and Ring Offer! 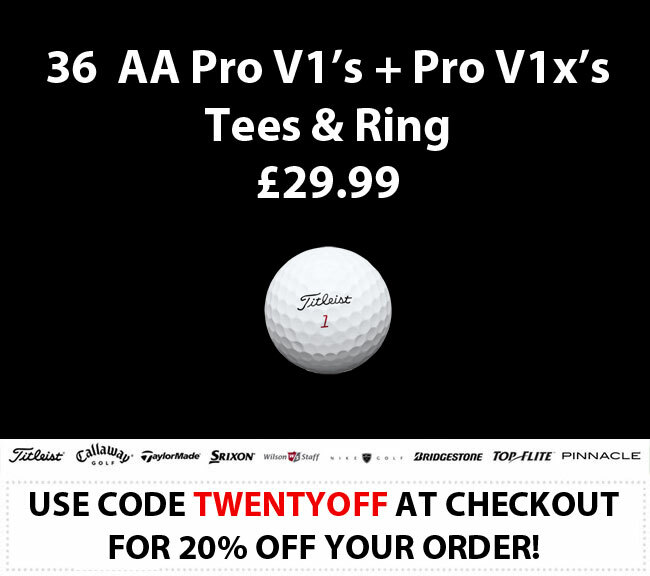 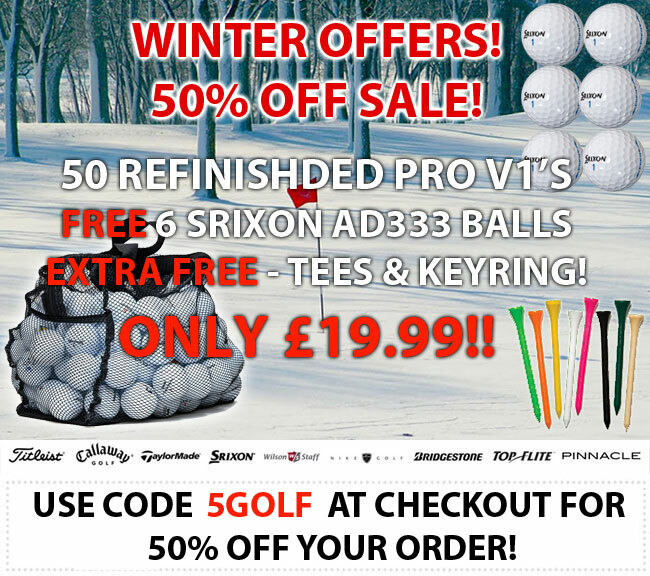 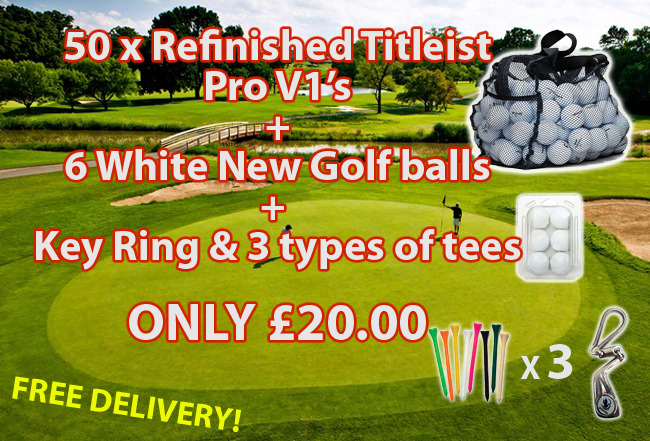 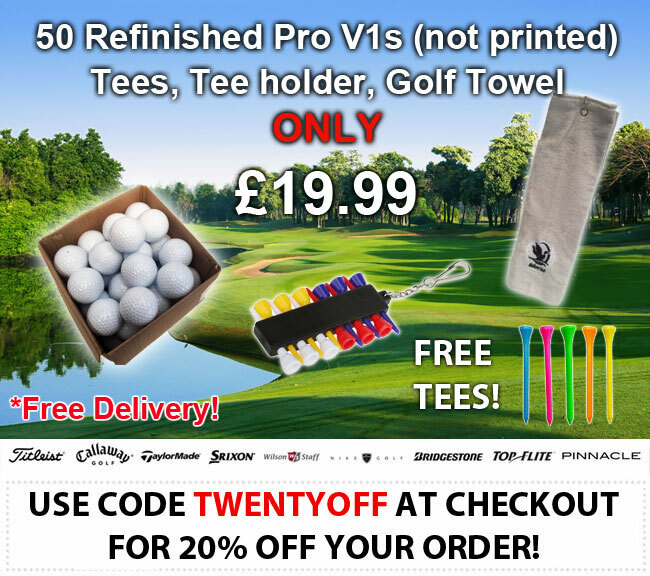 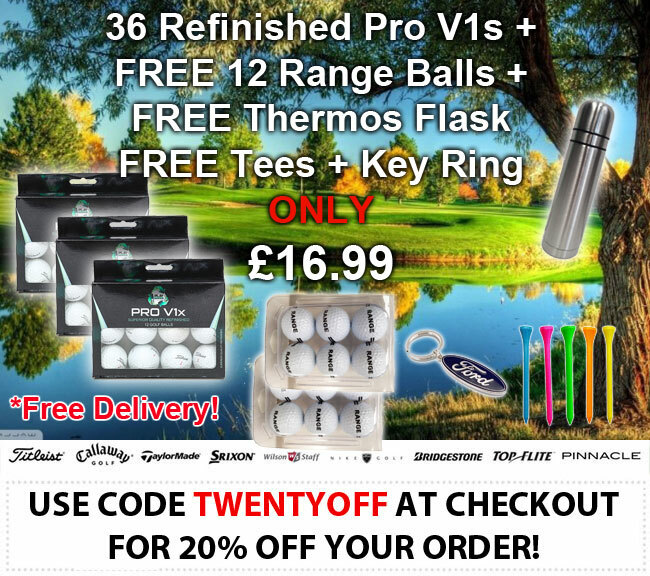 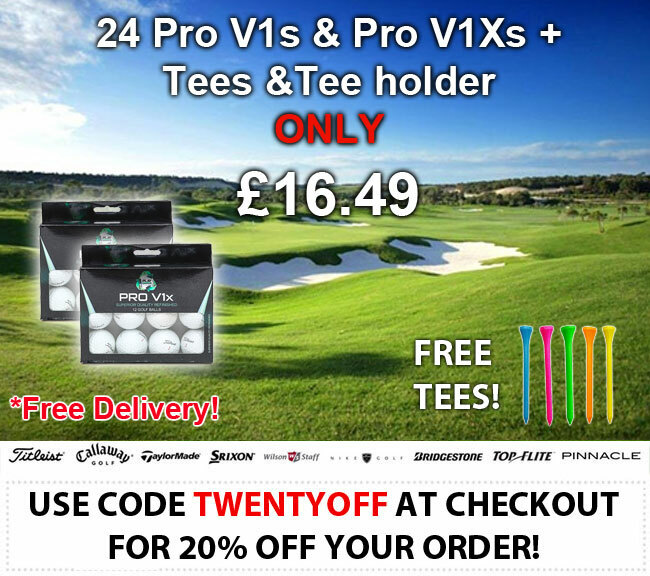 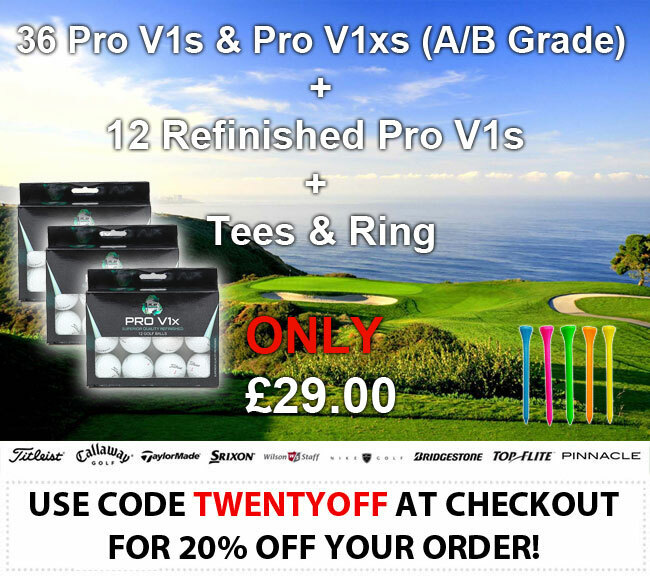 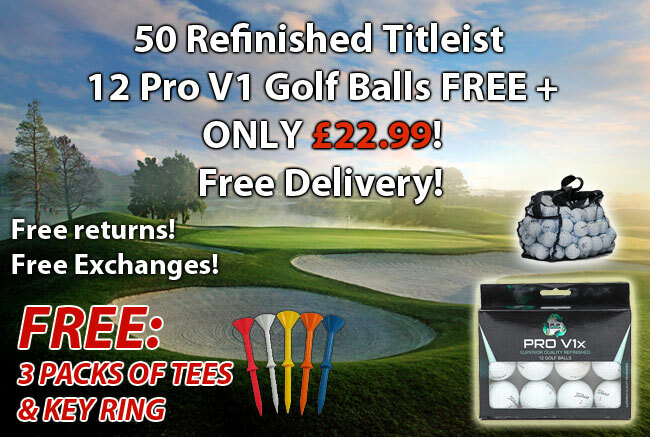 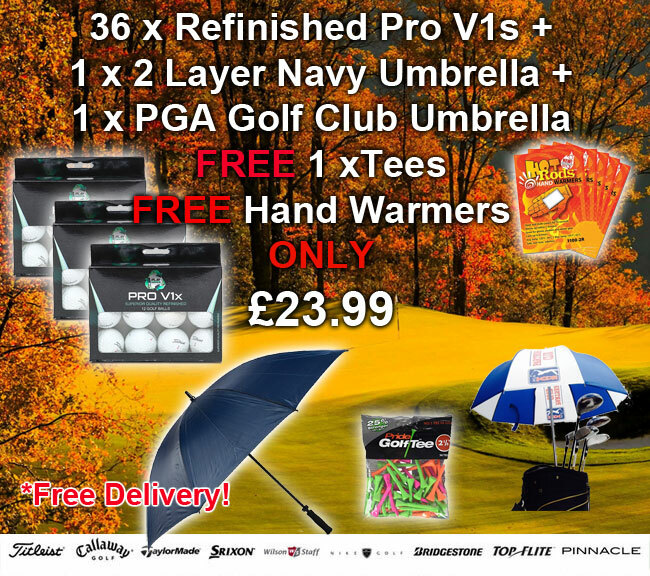 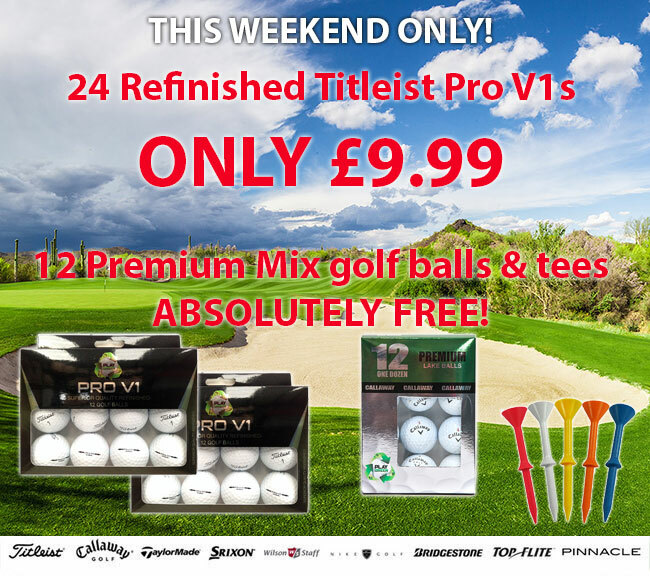 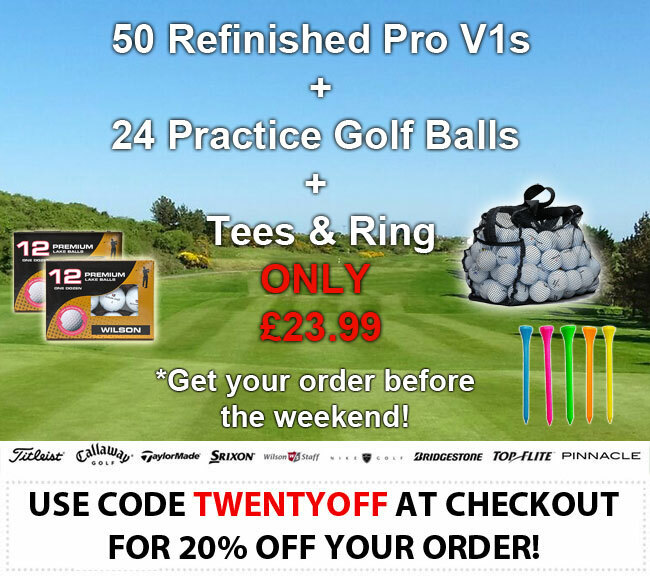 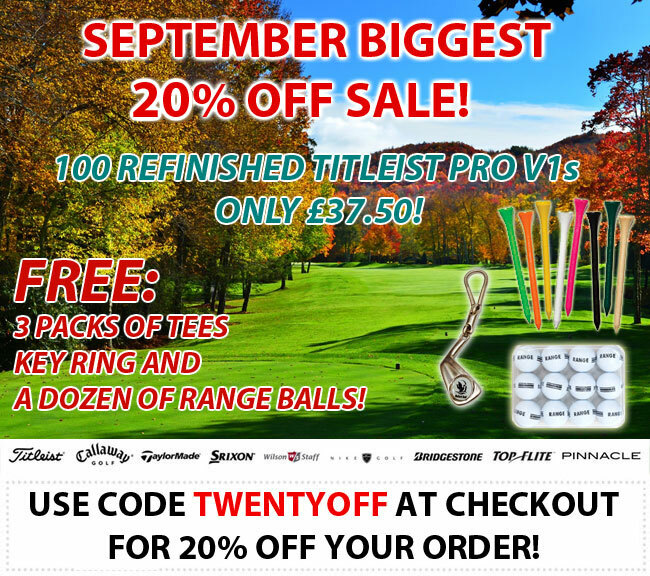 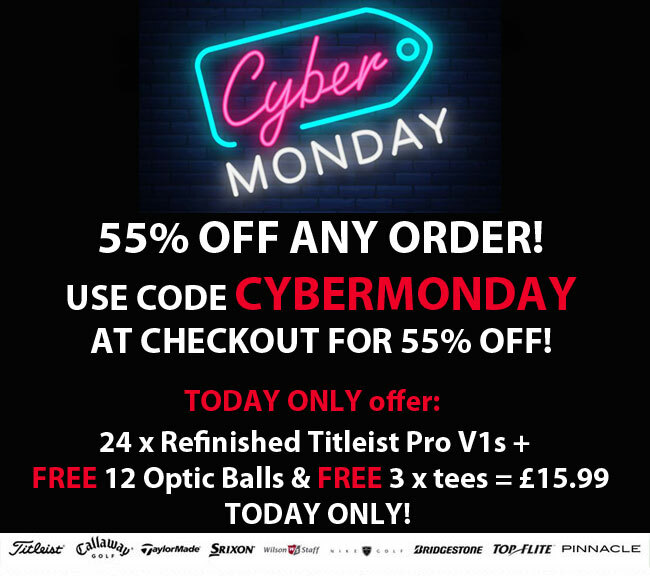 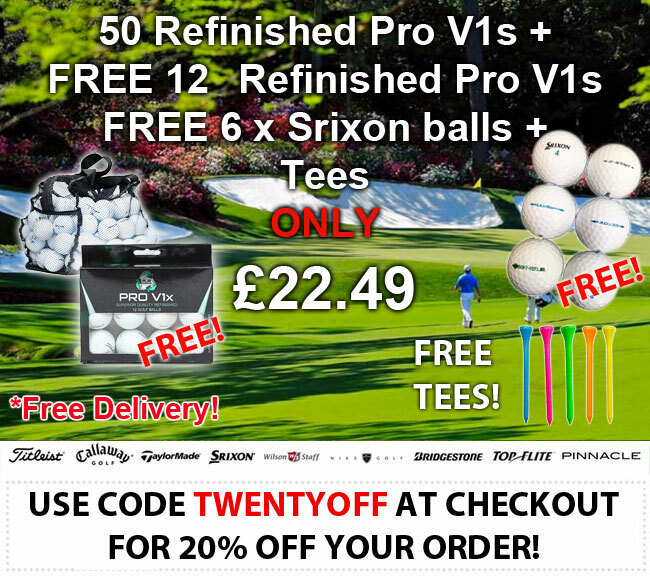 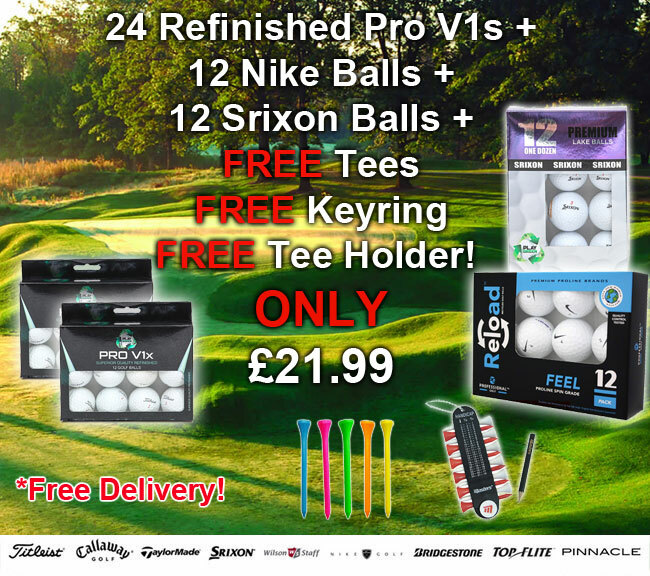 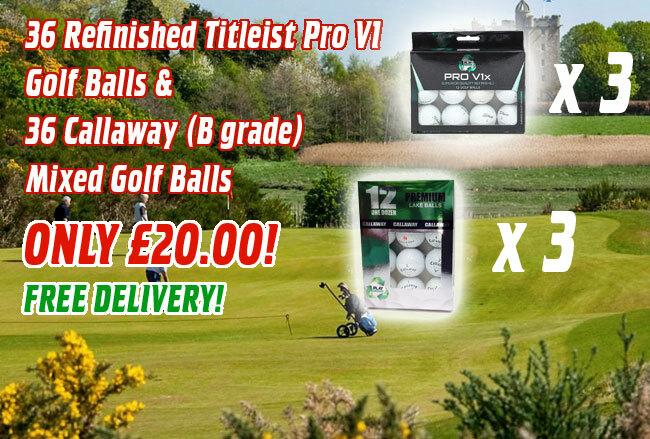 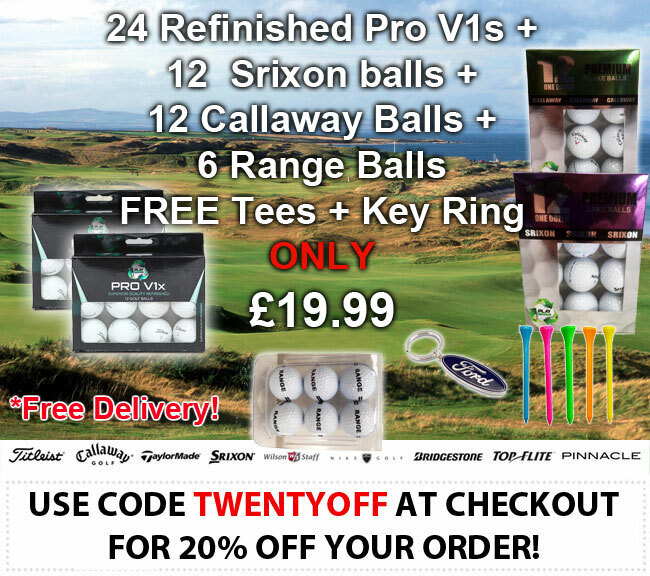 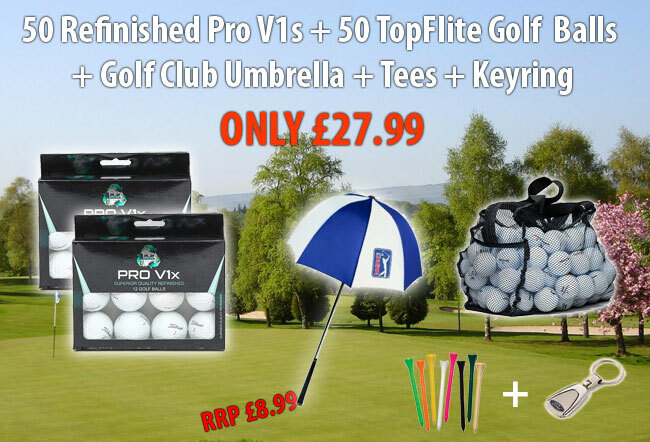 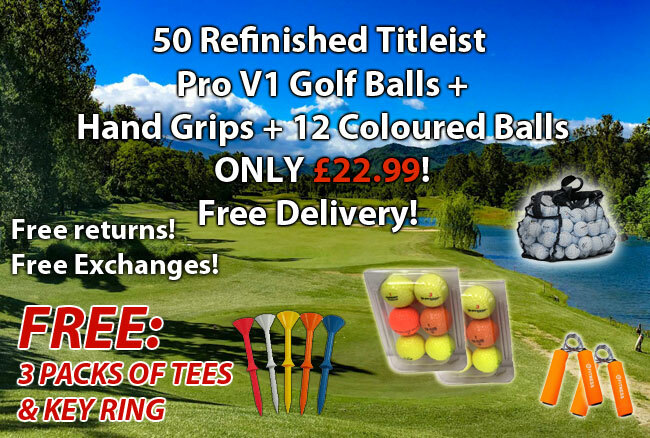 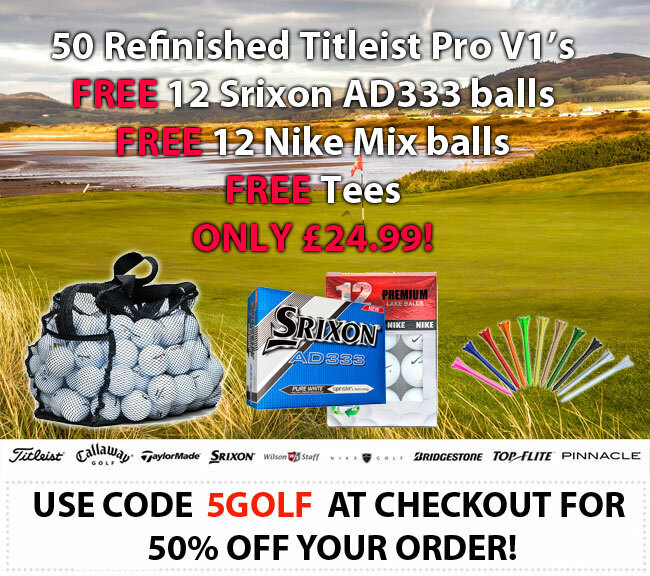 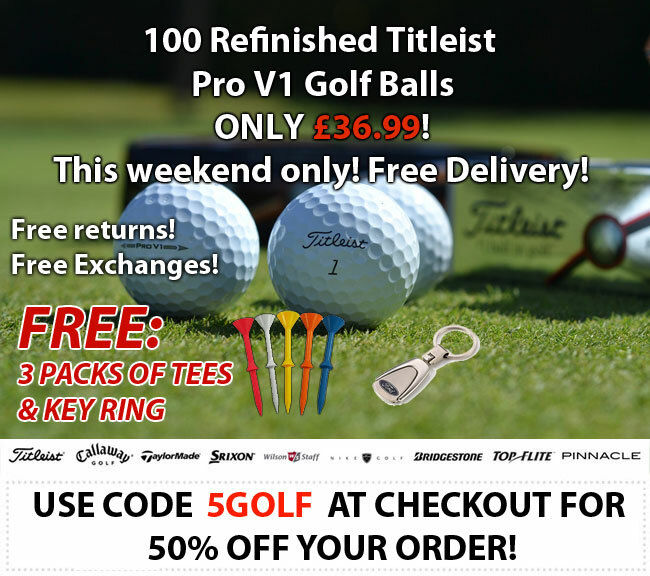 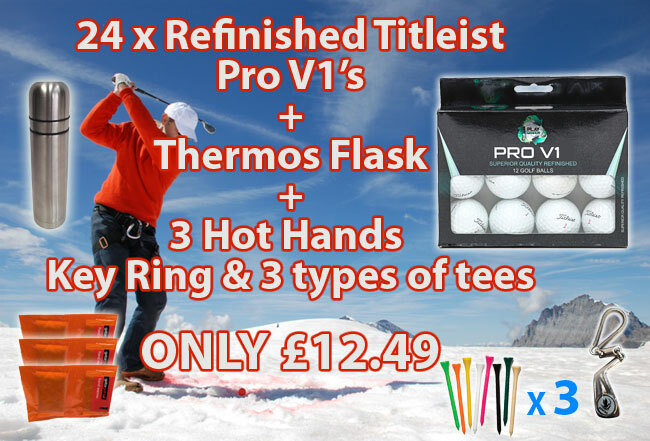 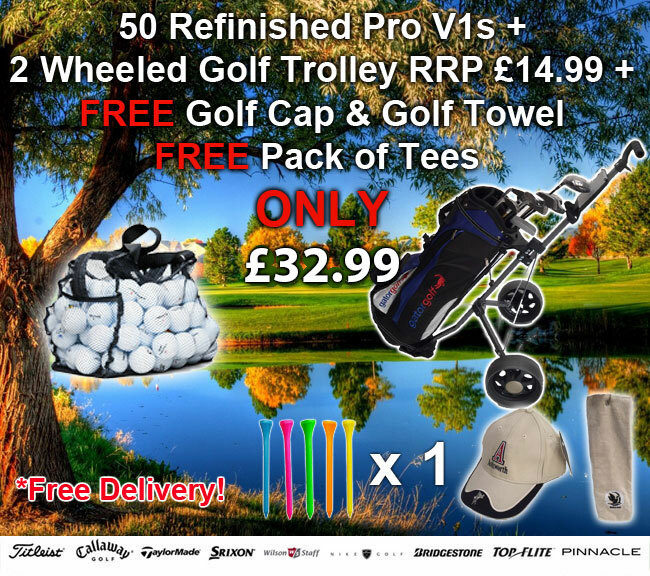 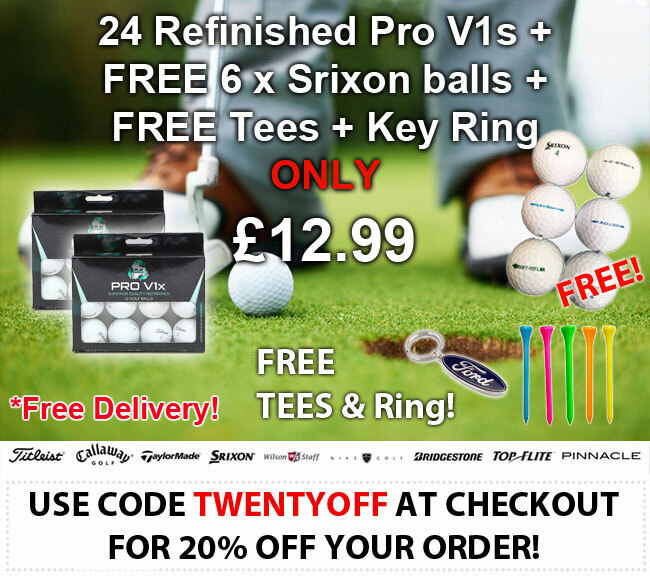 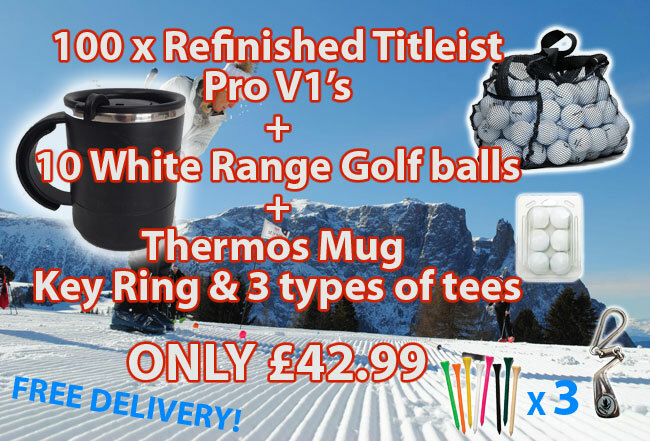 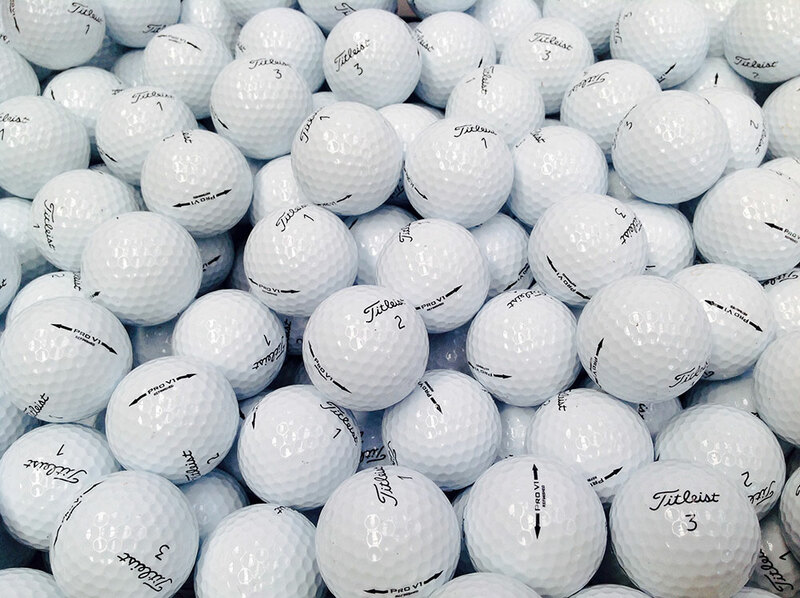 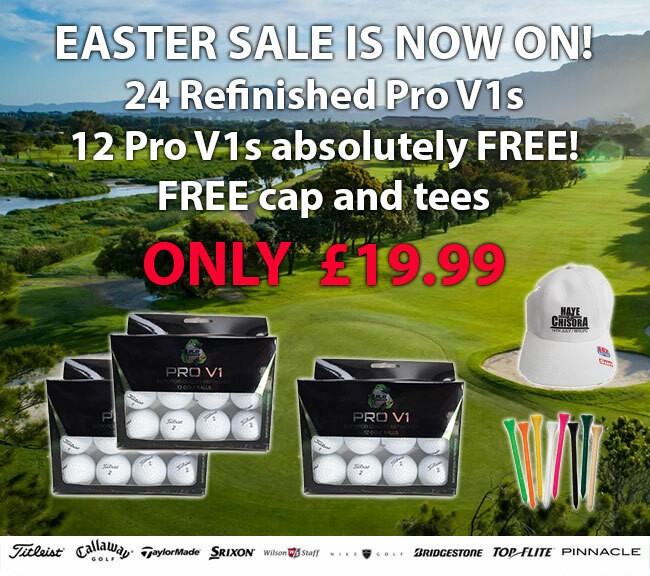 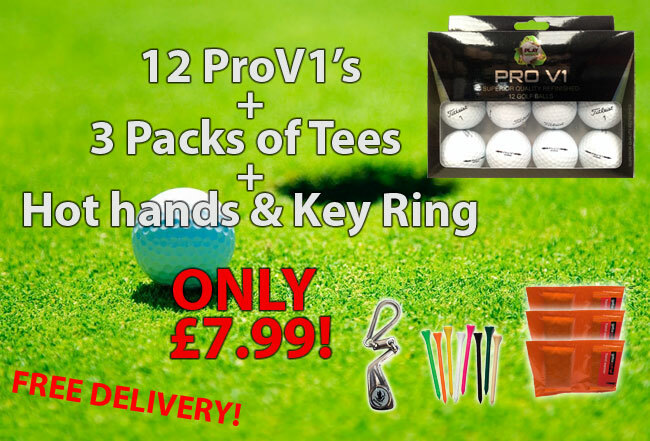 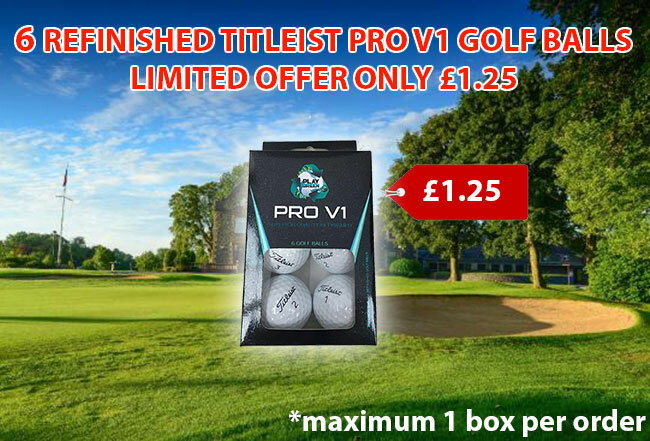 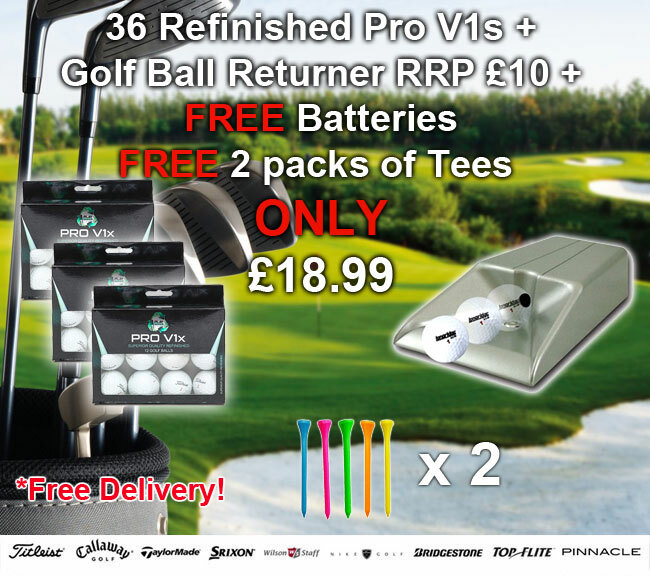 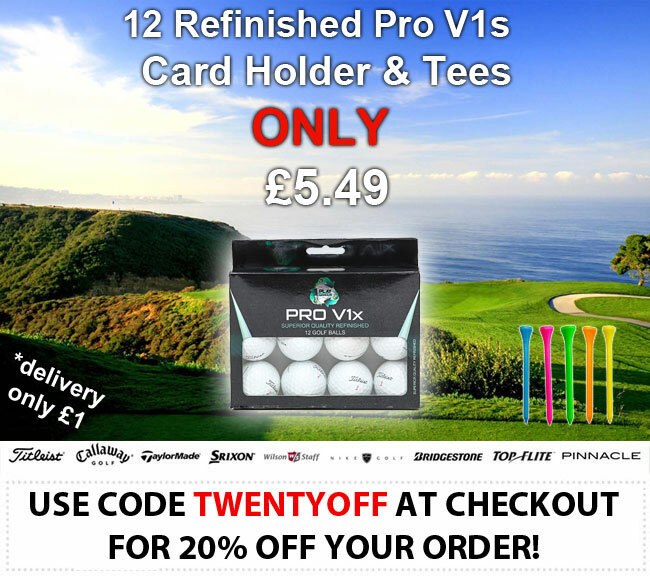 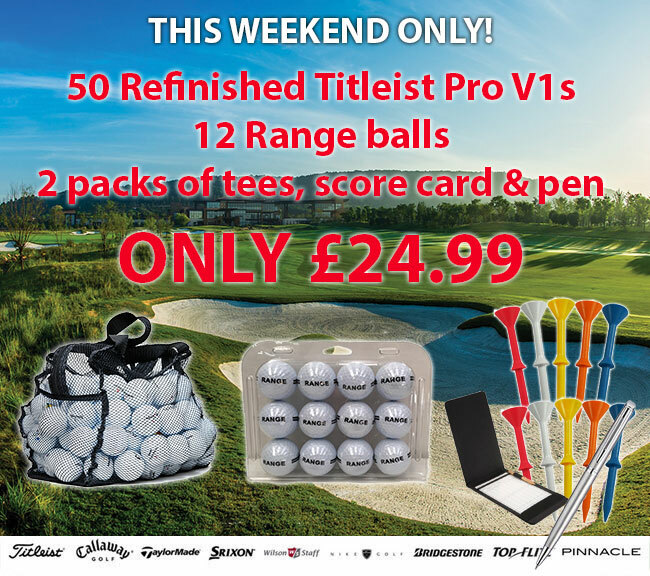 36 AA Titleist Pro V1s and Pro V1xs Golf Balls , Tees and Ring Offer! 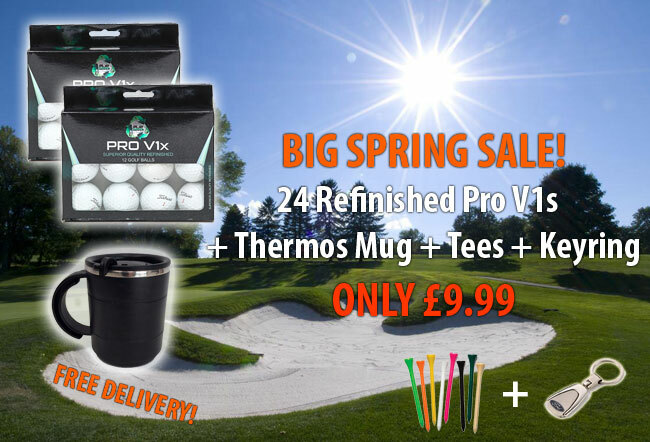 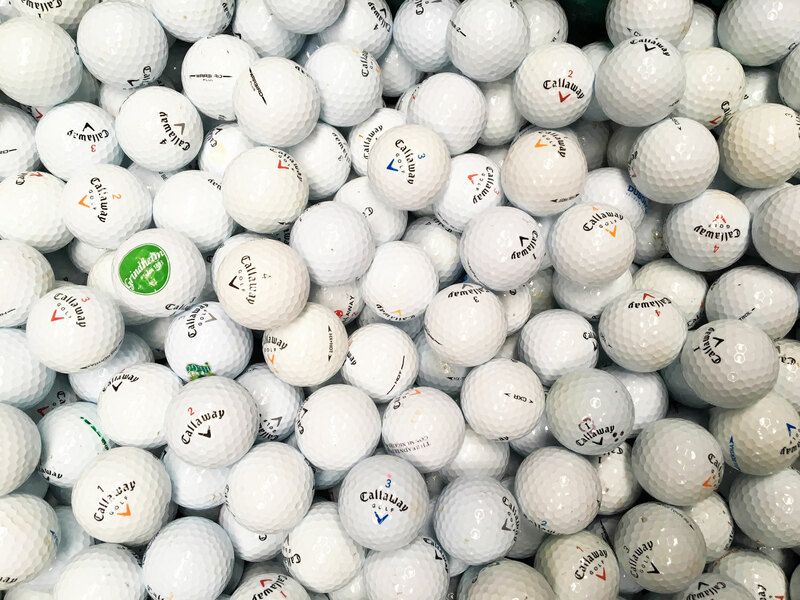 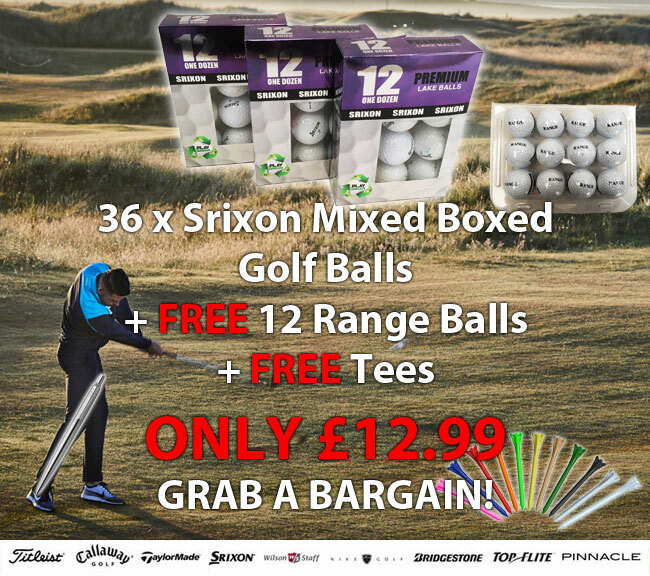 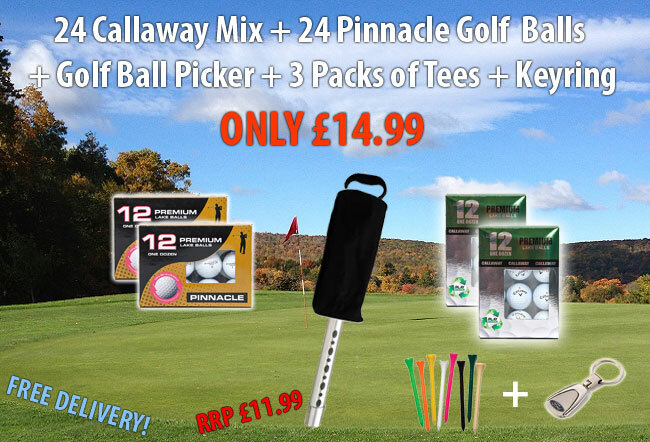 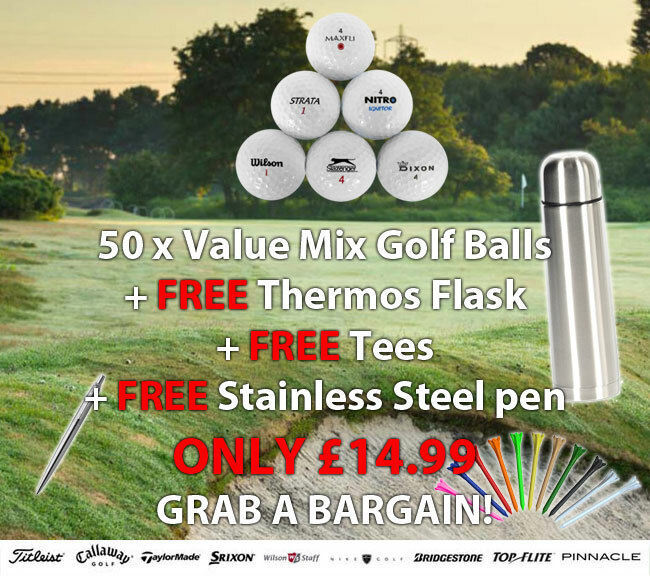 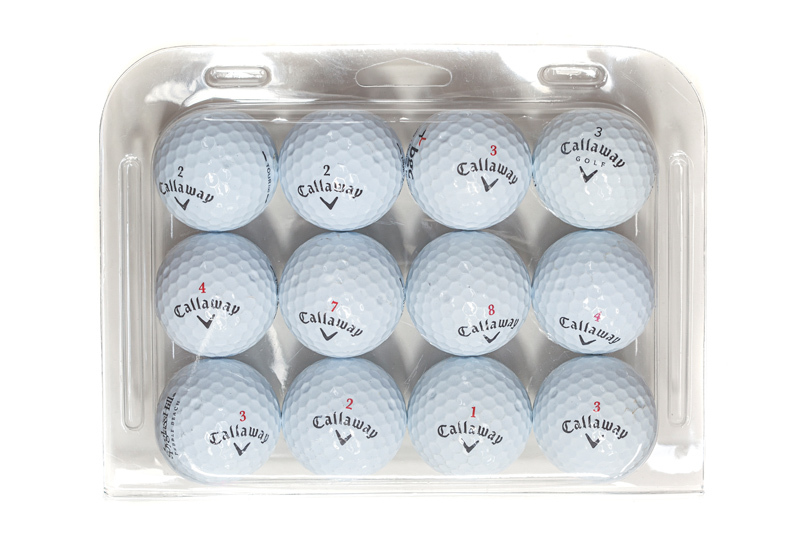 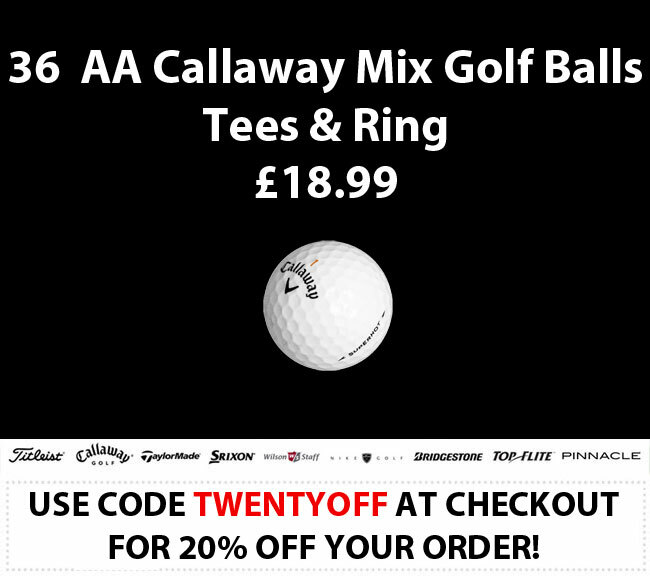 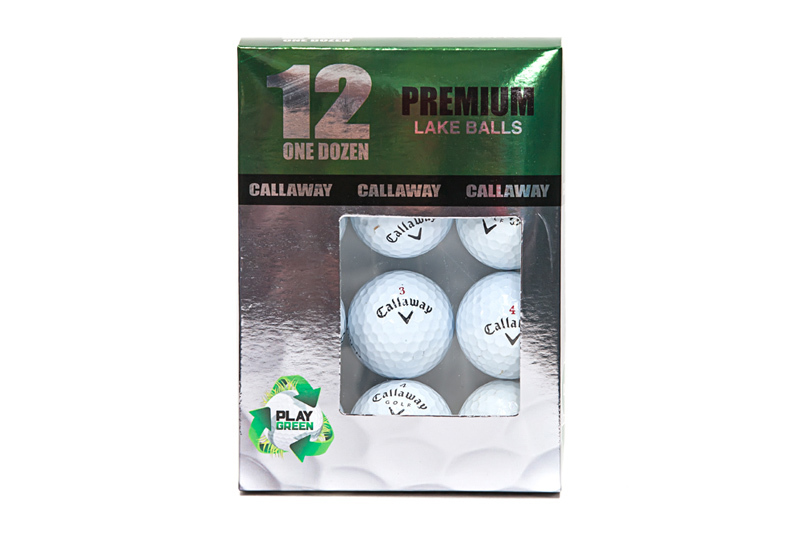 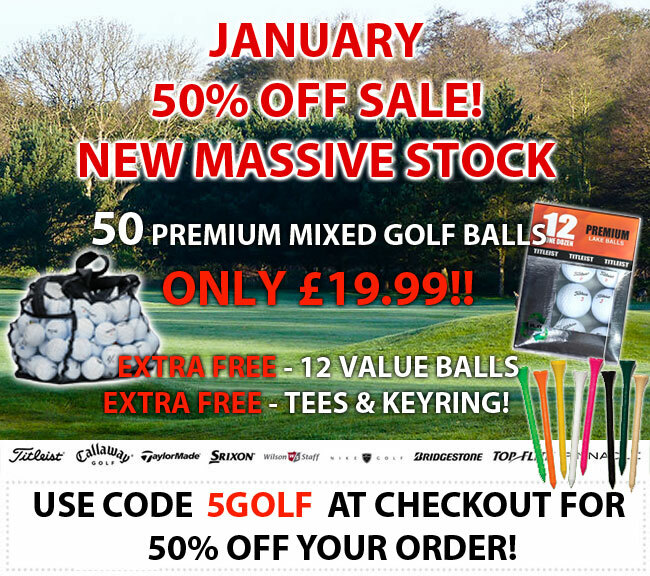 36 Callaway Mix Golf Balls , Tees and Ring Offer! 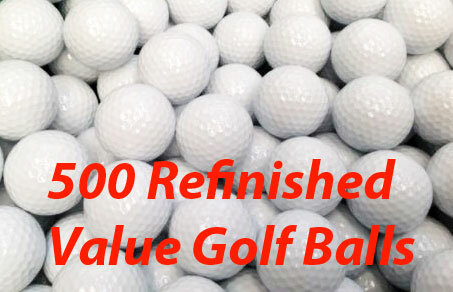 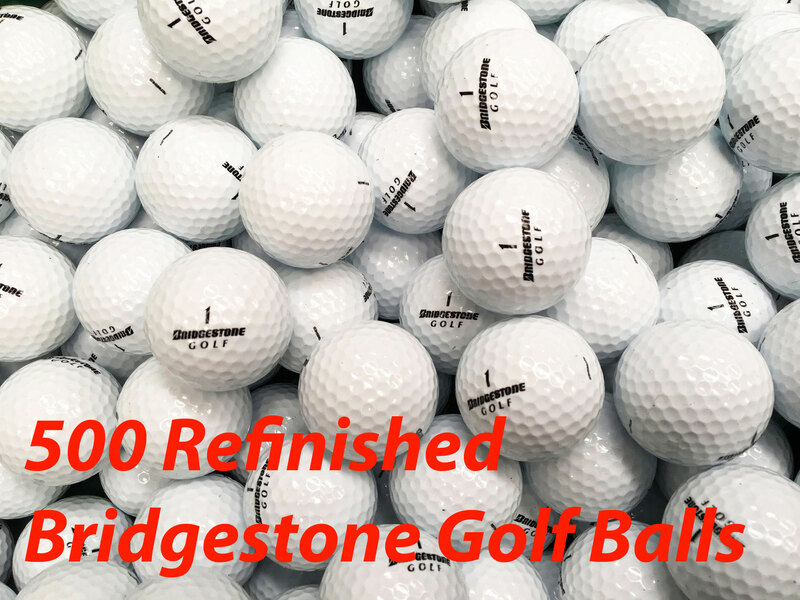 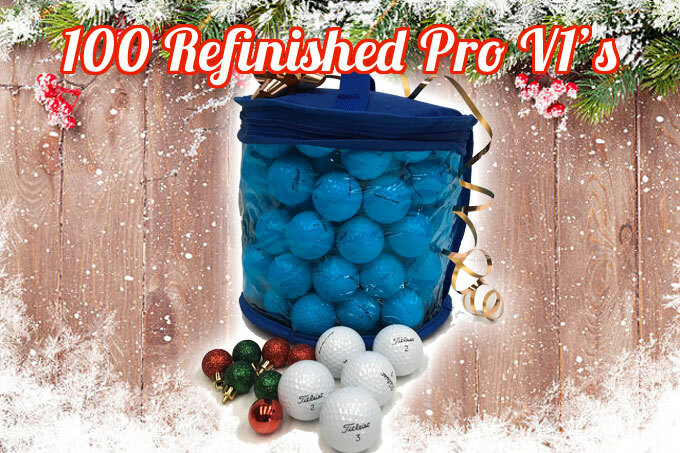 100 Refinished Pro V1s golf balls offer! 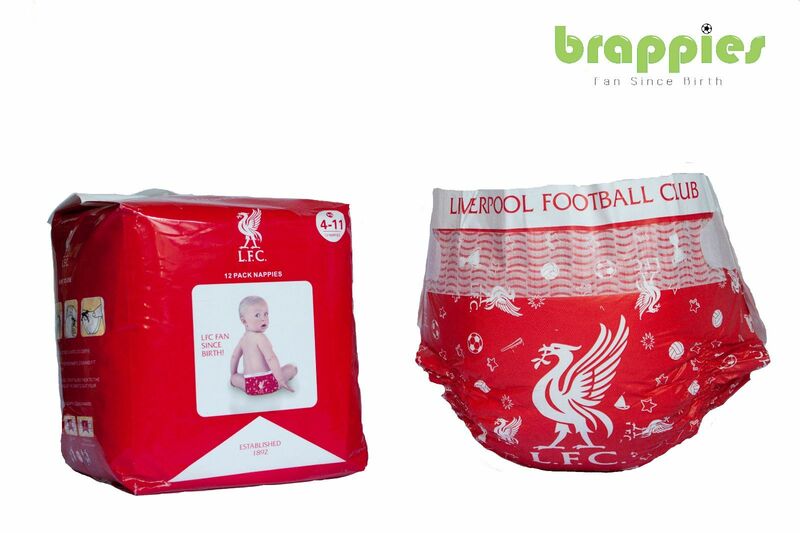 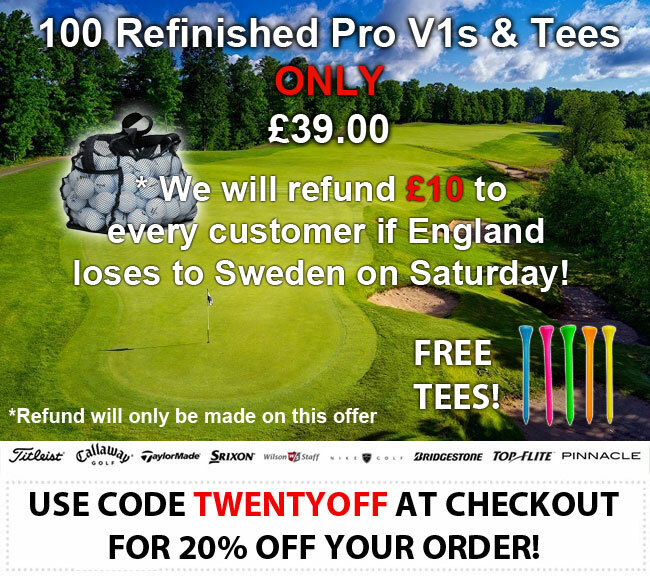 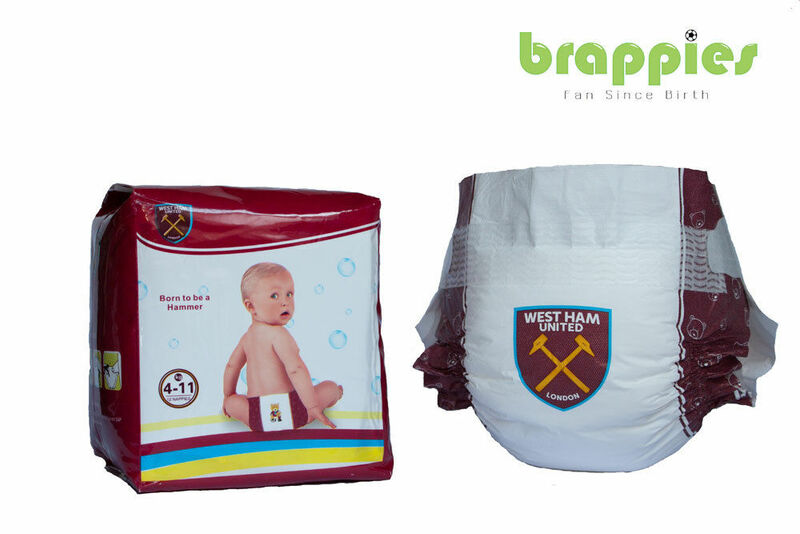 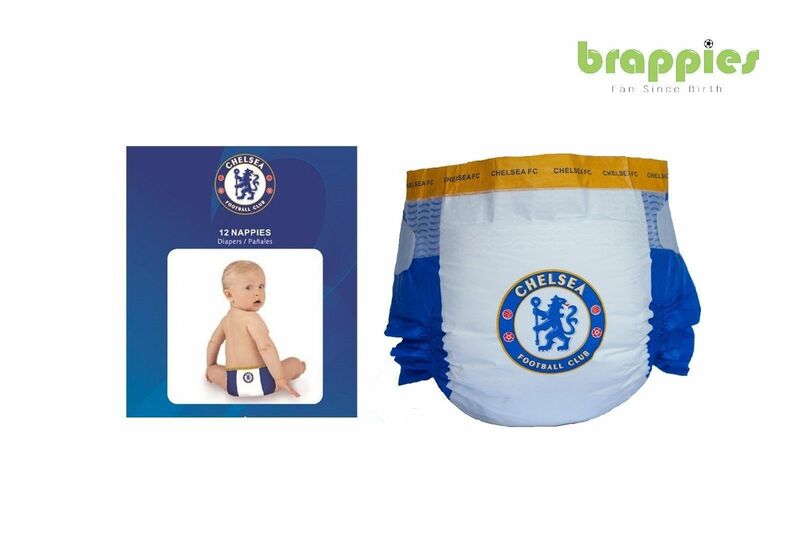 �10 Refund if England loses to Sweden! 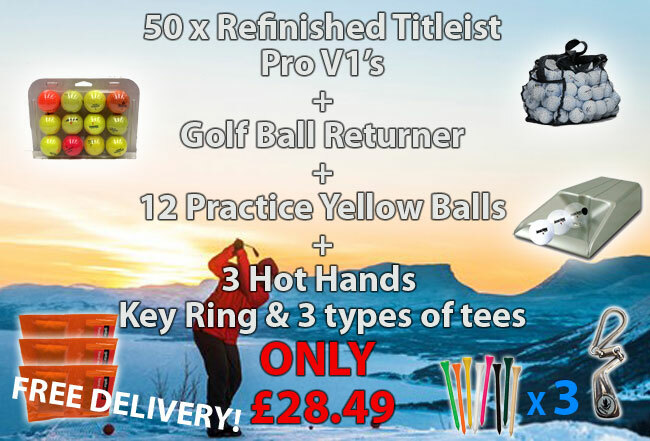 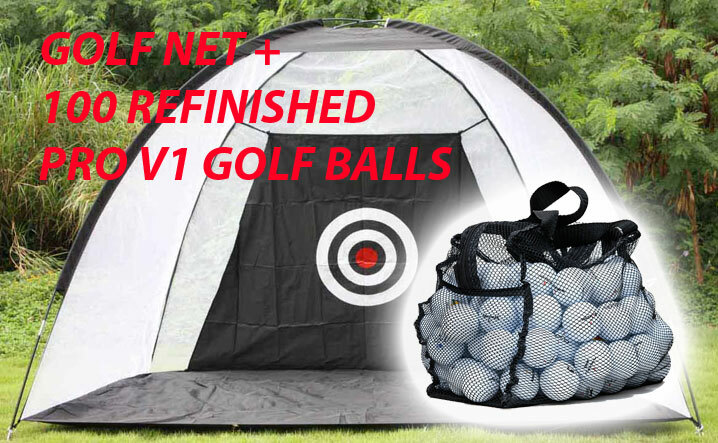 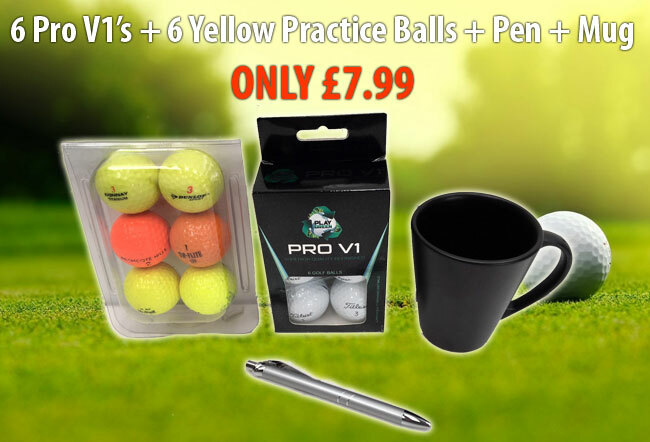 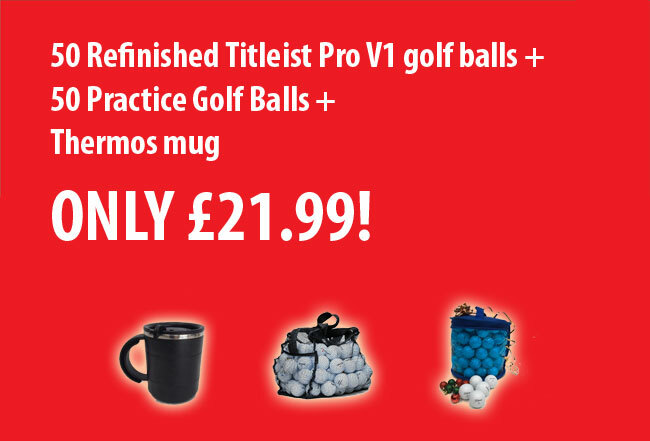 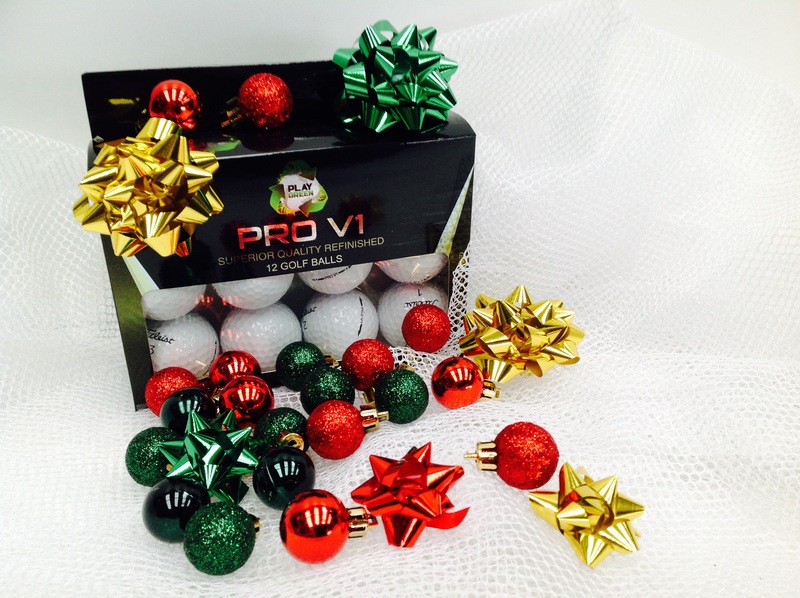 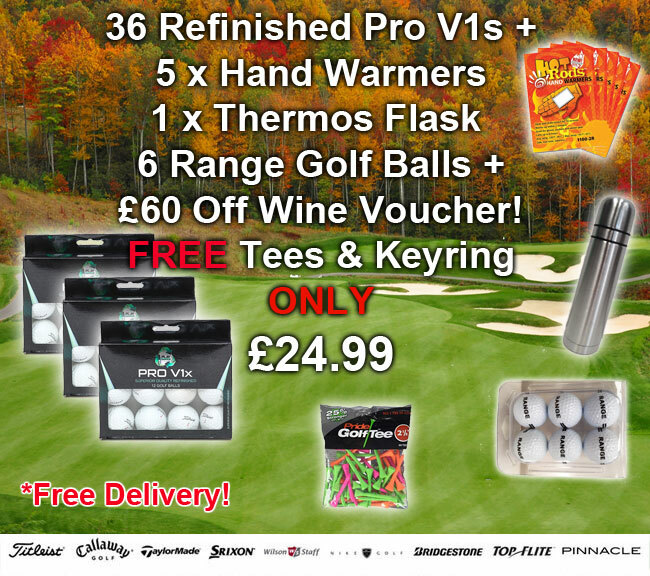 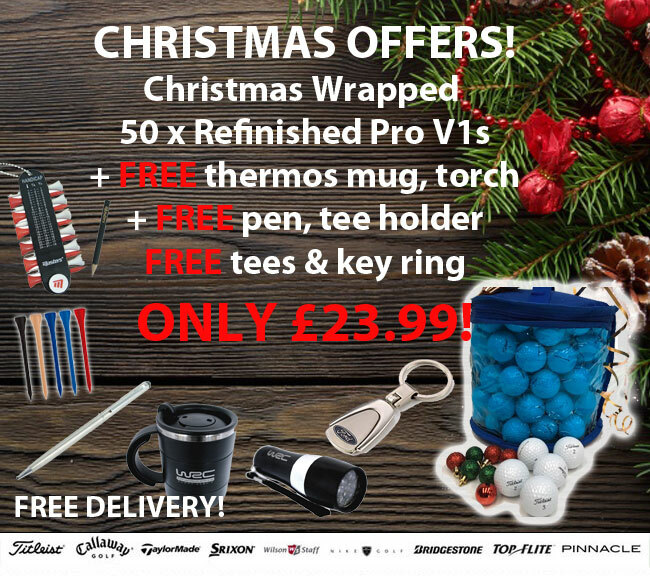 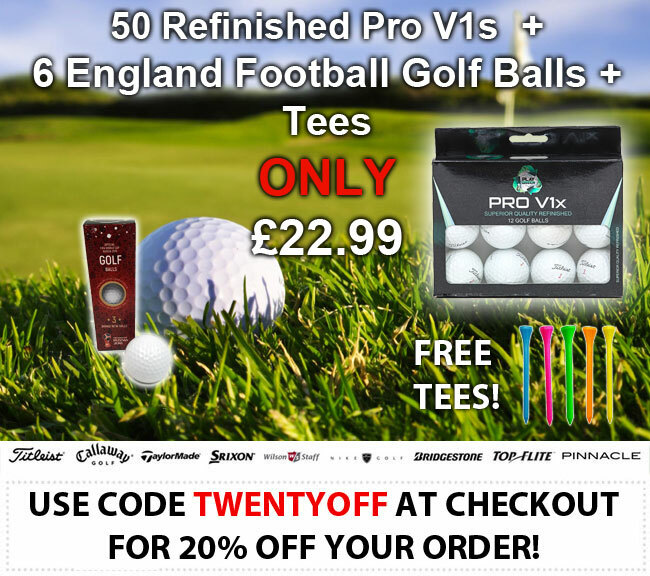 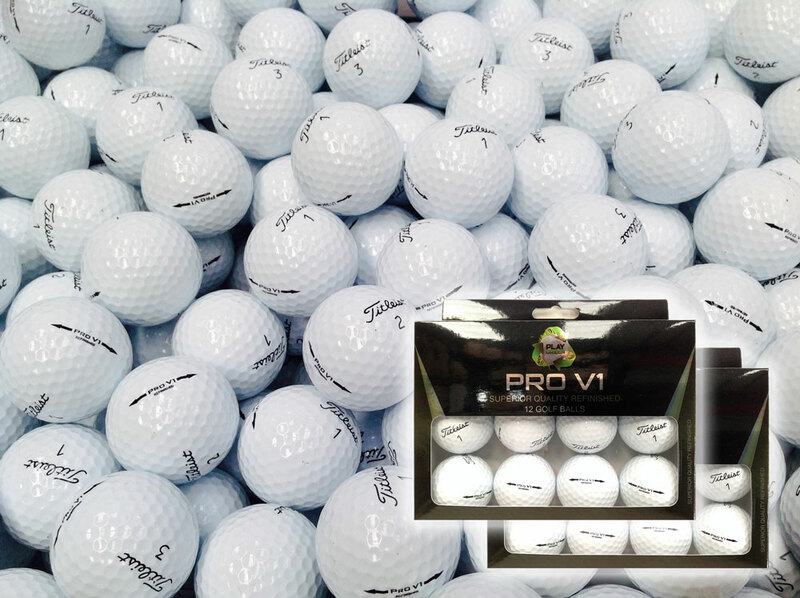 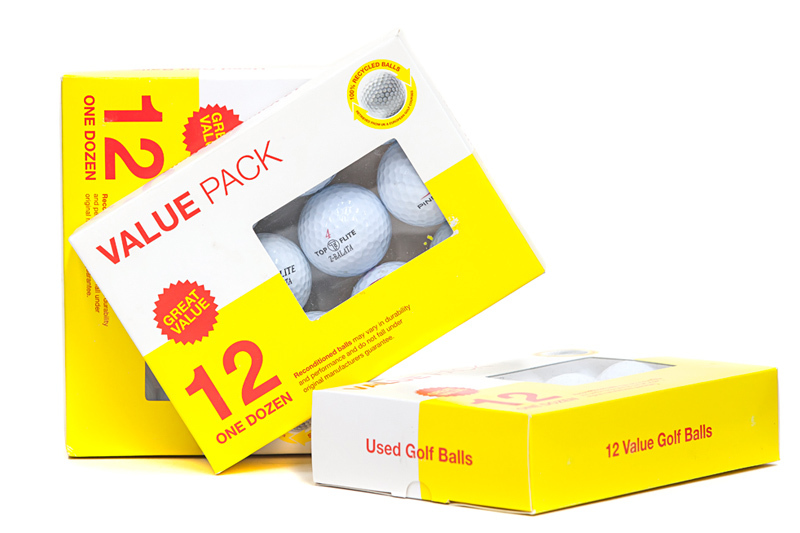 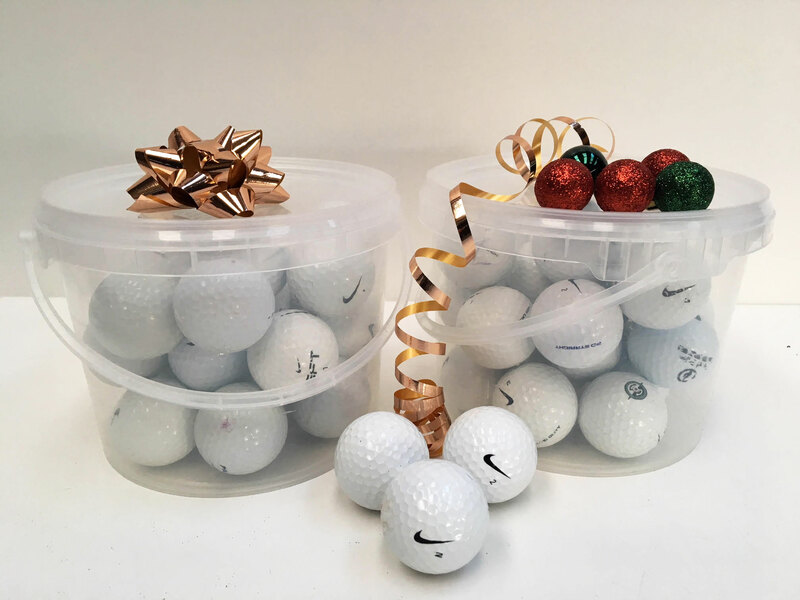 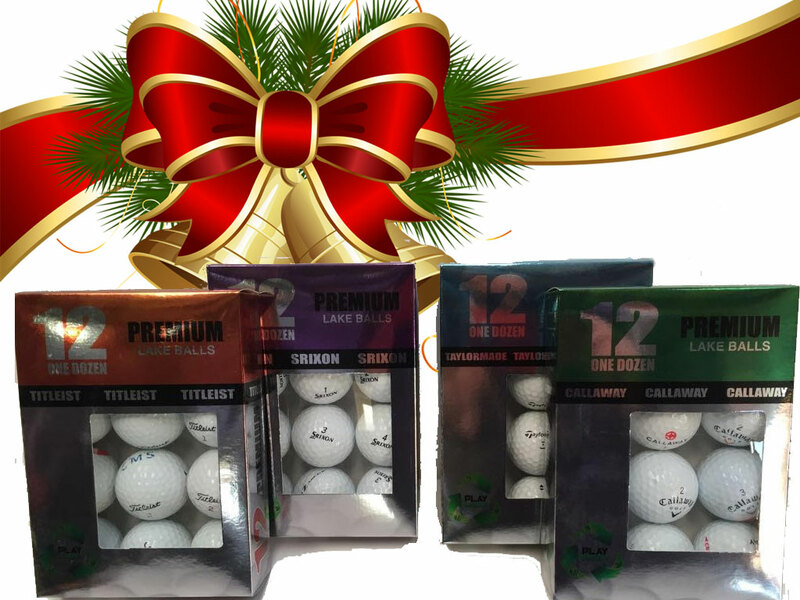 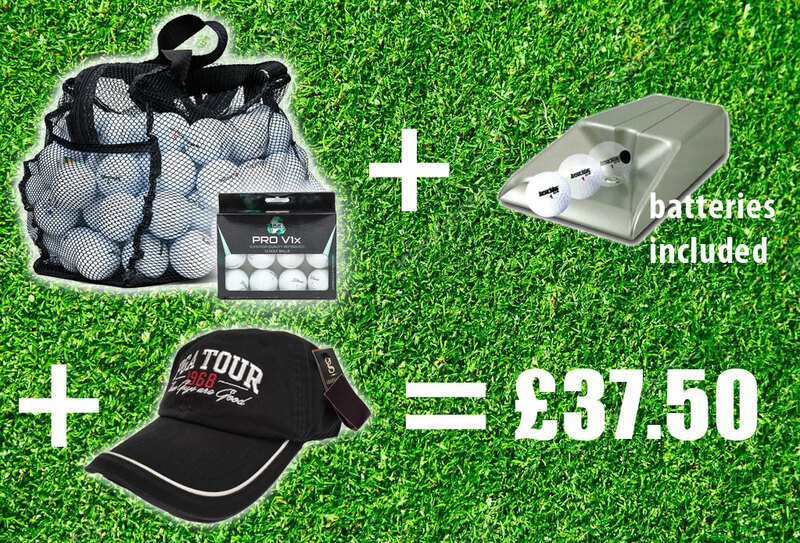 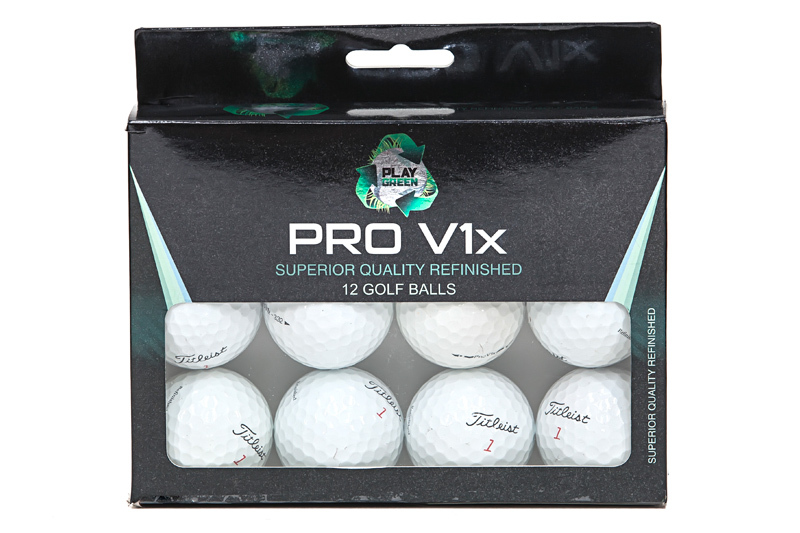 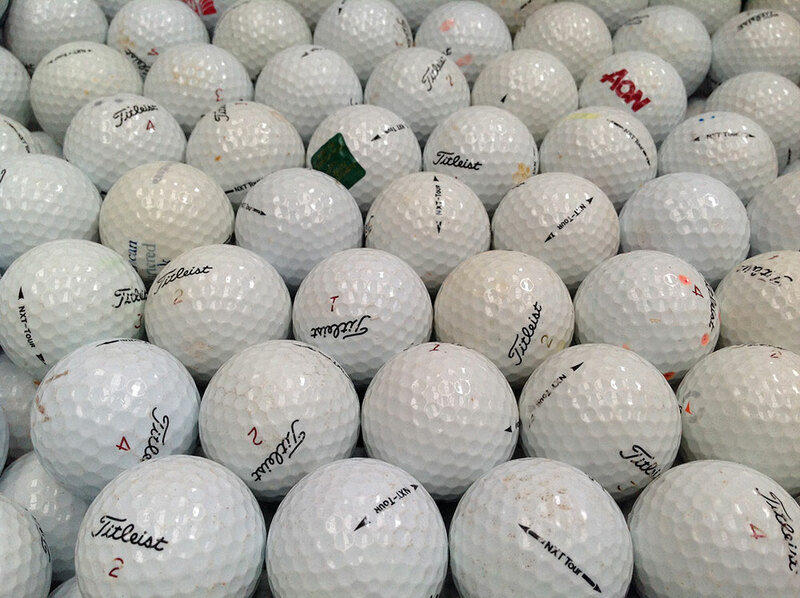 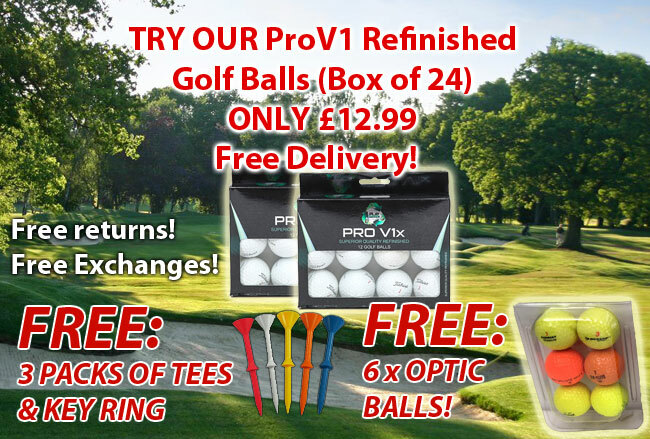 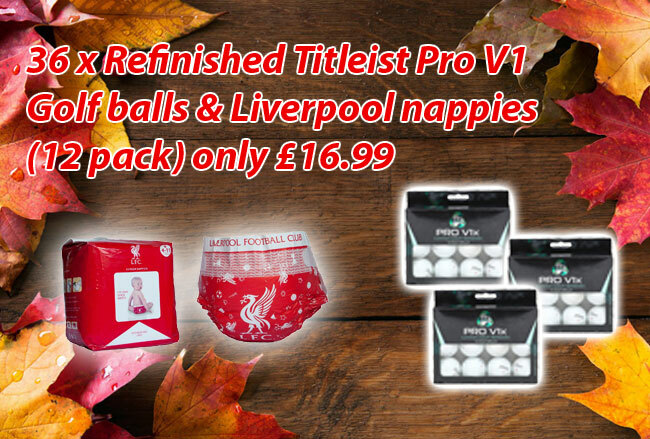 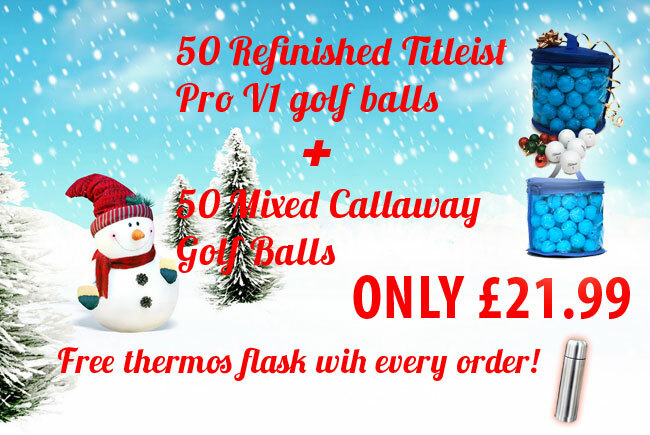 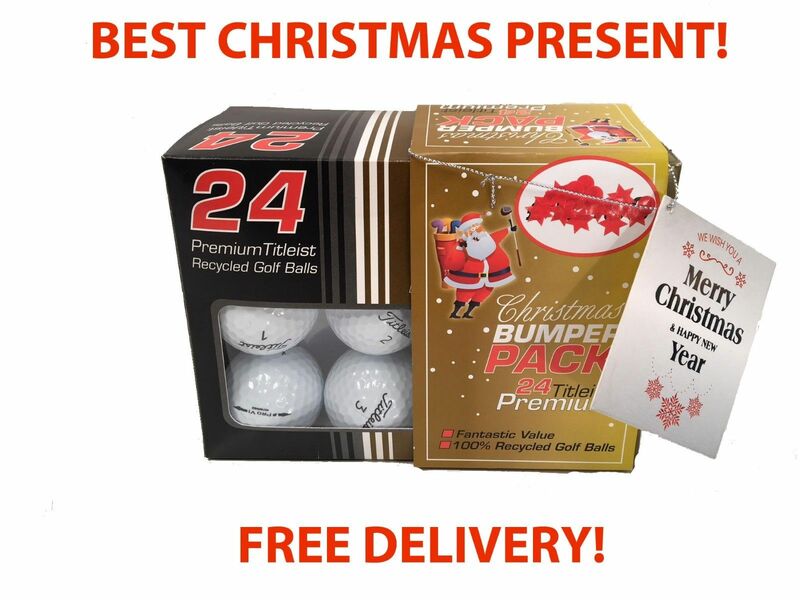 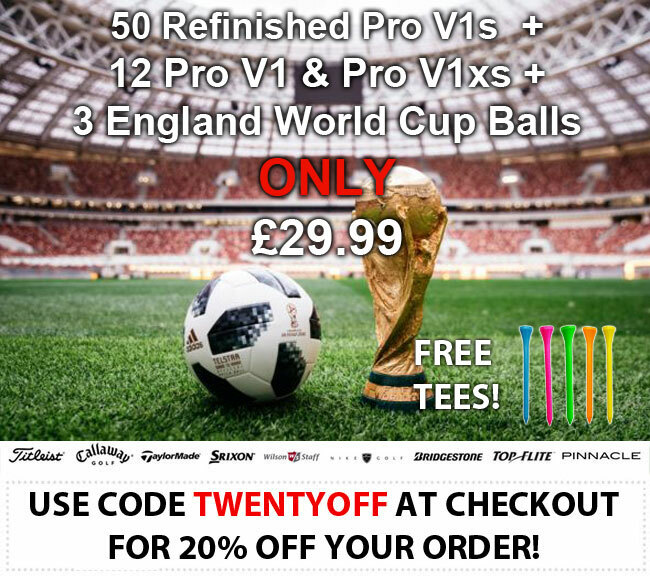 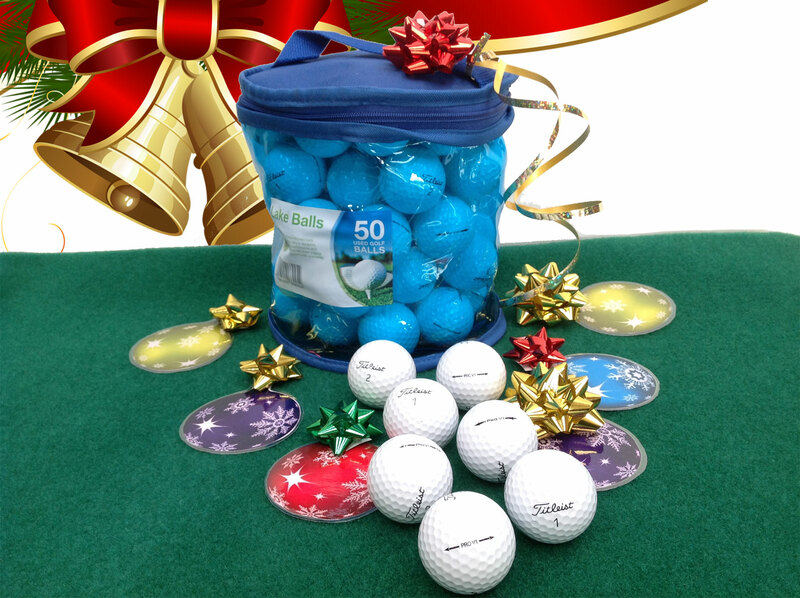 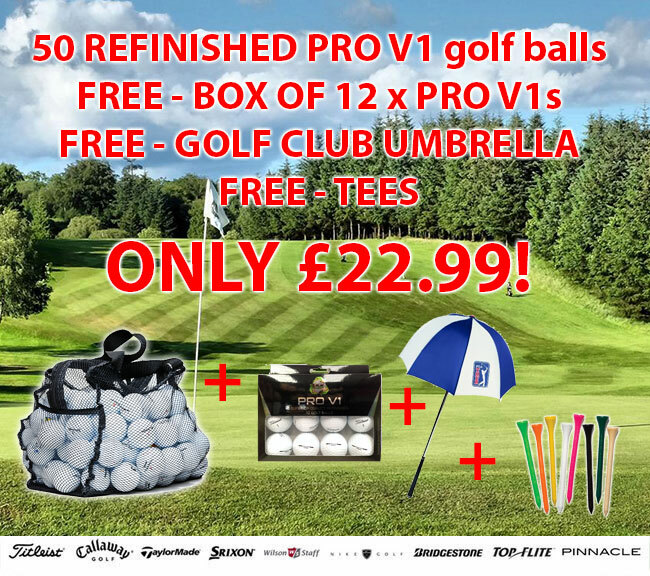 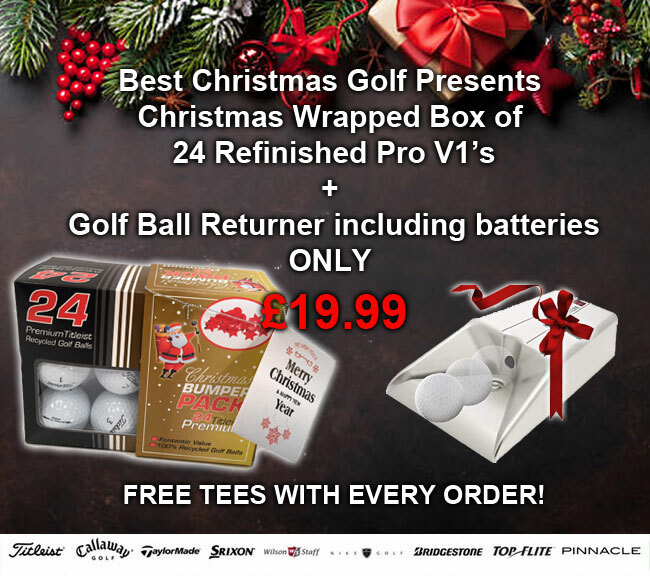 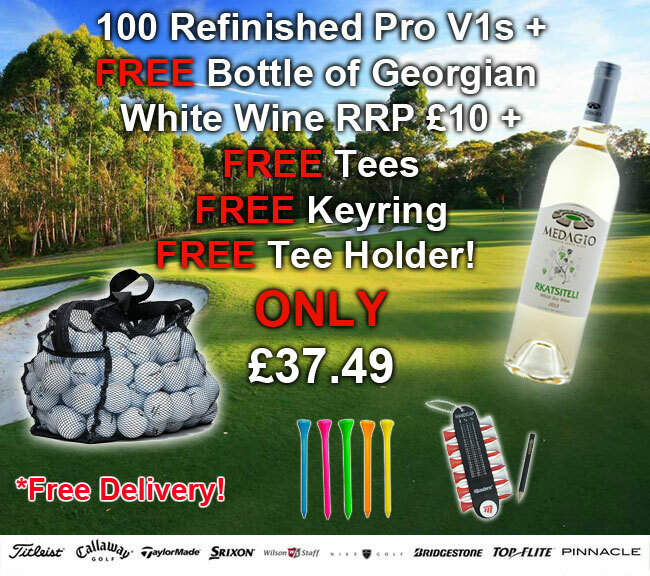 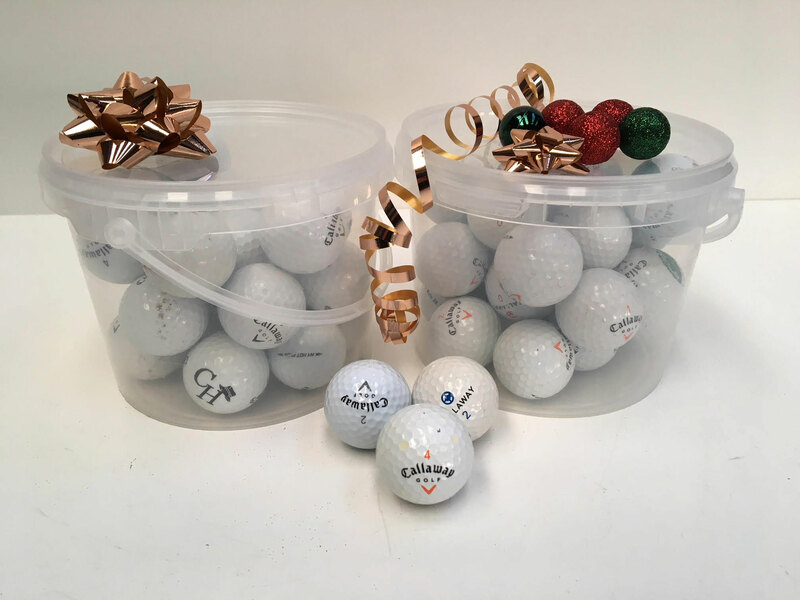 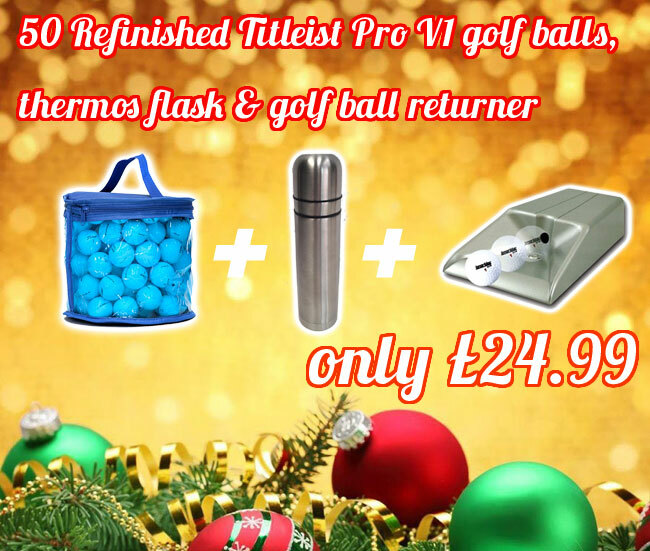 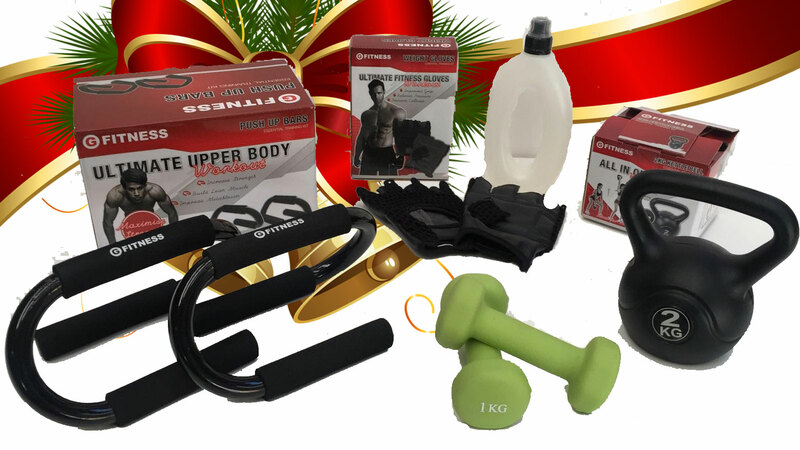 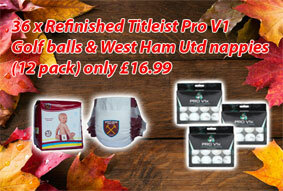 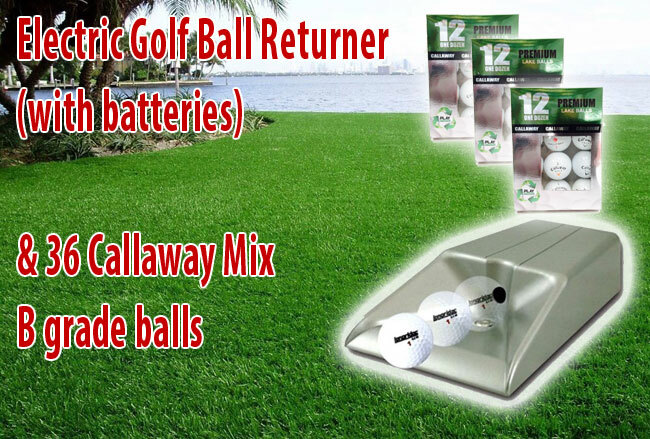 100 Refinished Pro V1 gold balls and Bottle of white wine RRP 10GBP + GIFTS FREE! 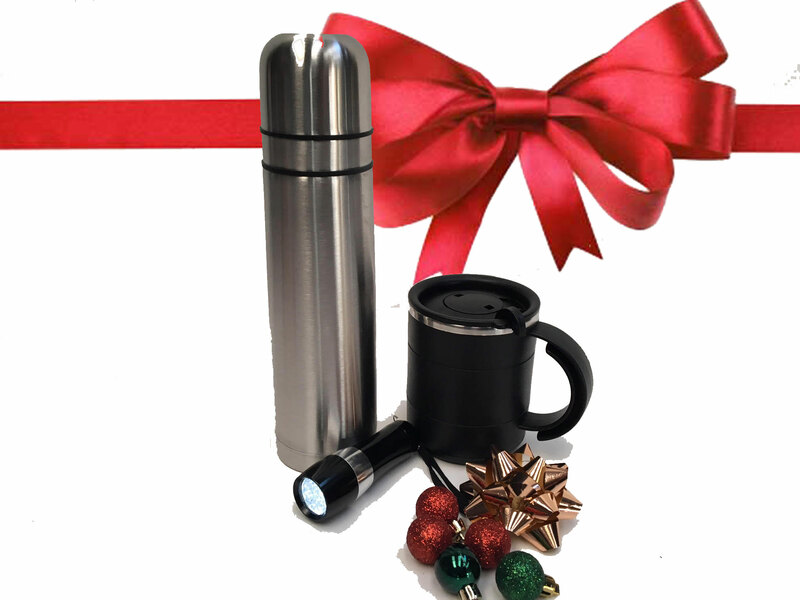 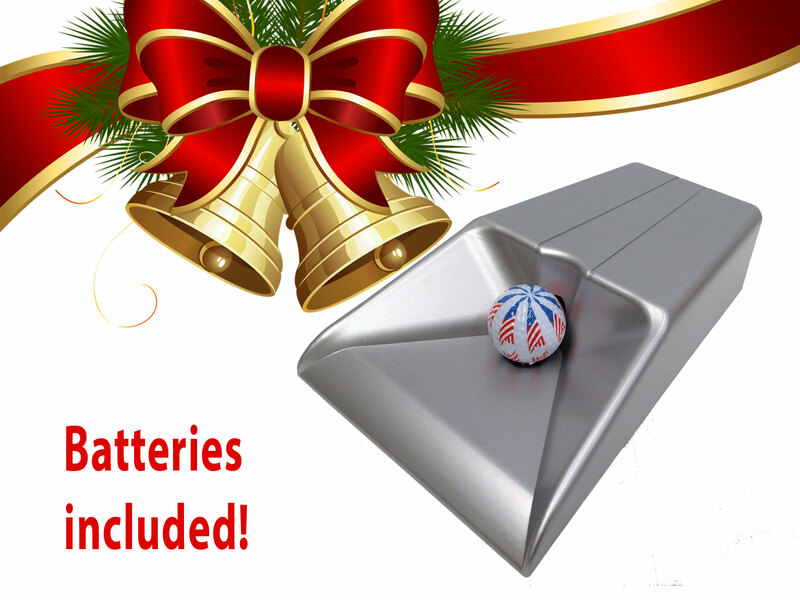 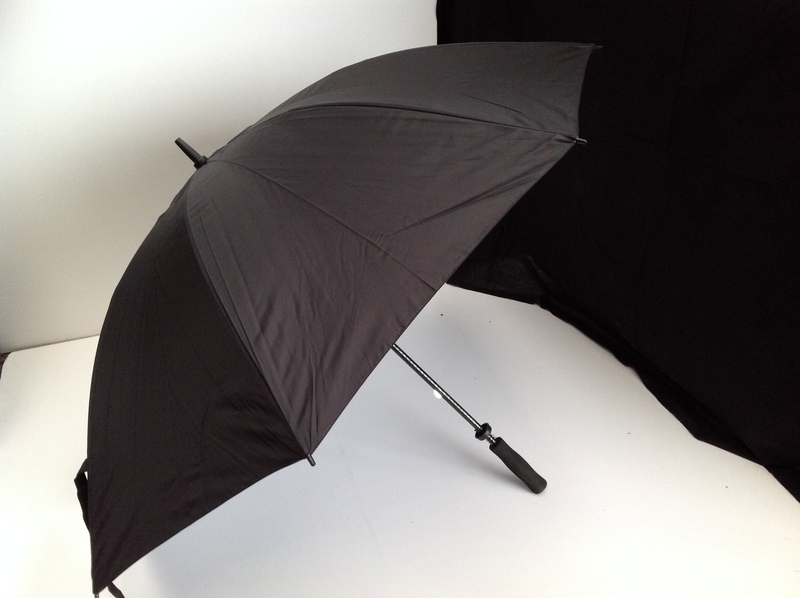 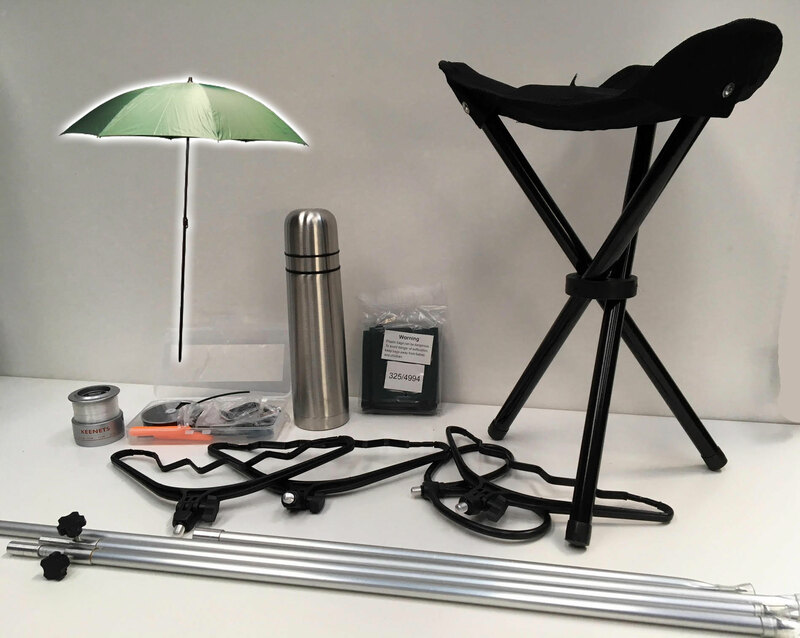 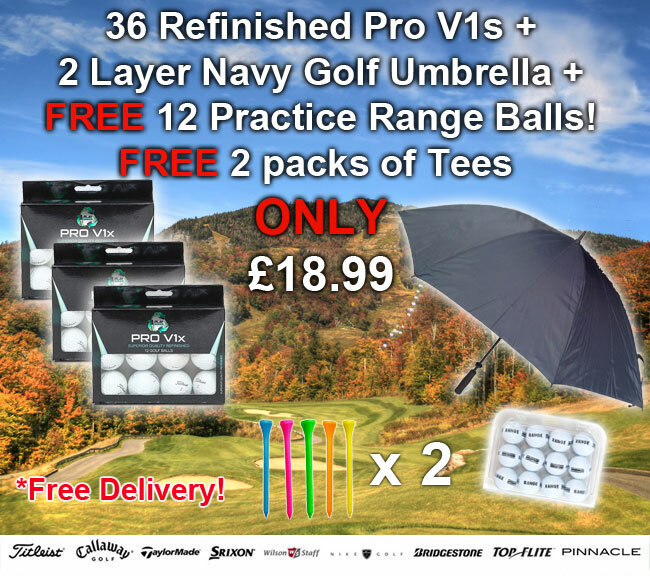 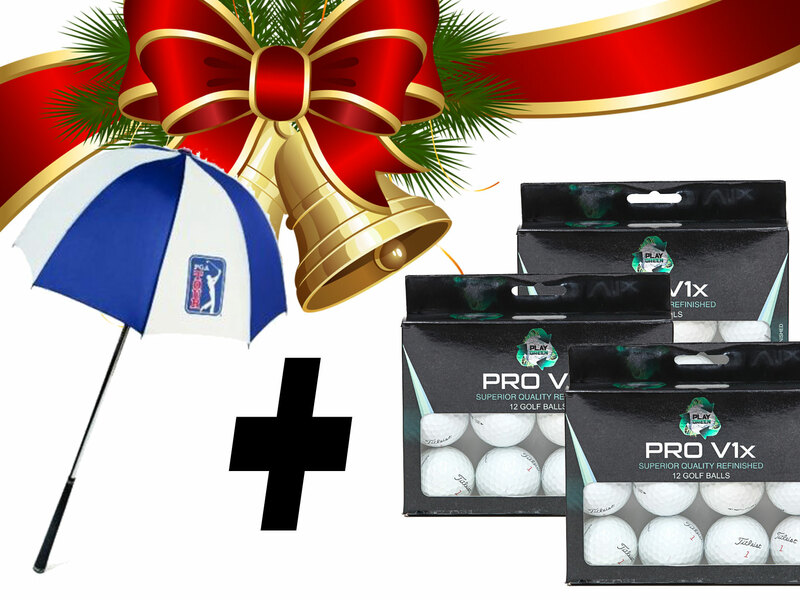 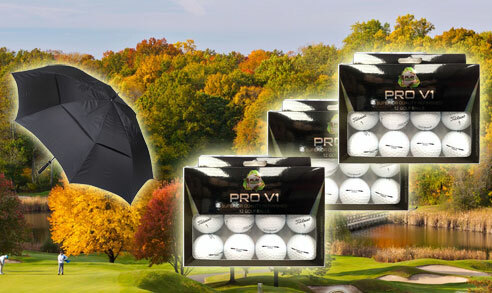 36 Refinished Pro V1s & Navy 2 layer umbrella + Free 12 Range Balls and Gifts! 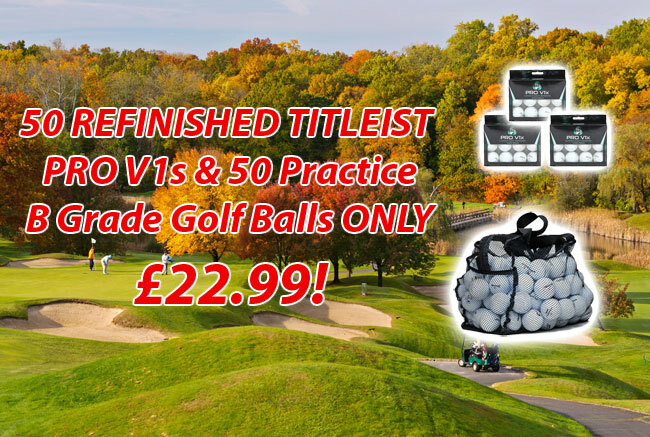 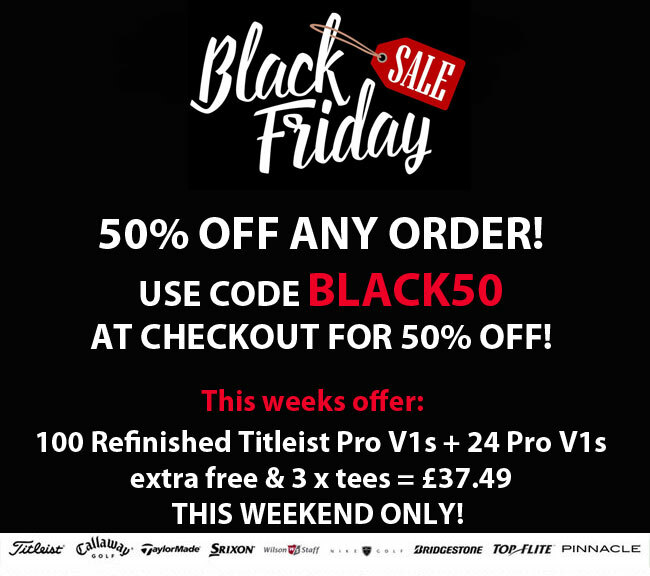 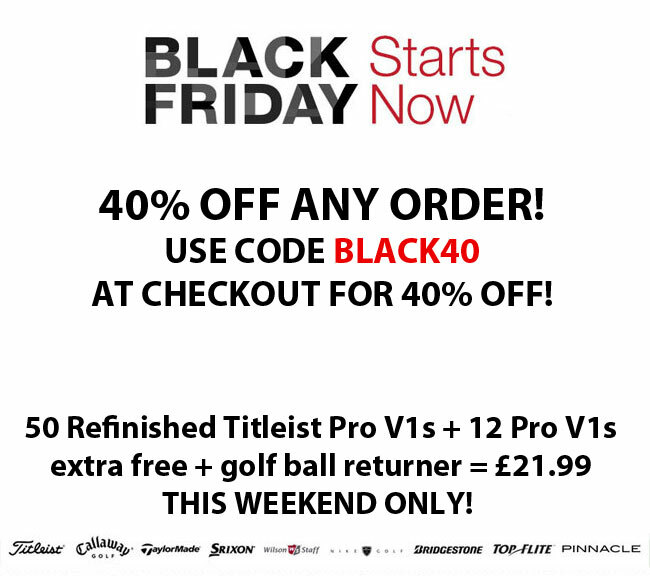 50 Refinished Titleist Pro V1s, 12 Balls free, Golf Ball Returner, Black Friday offer! 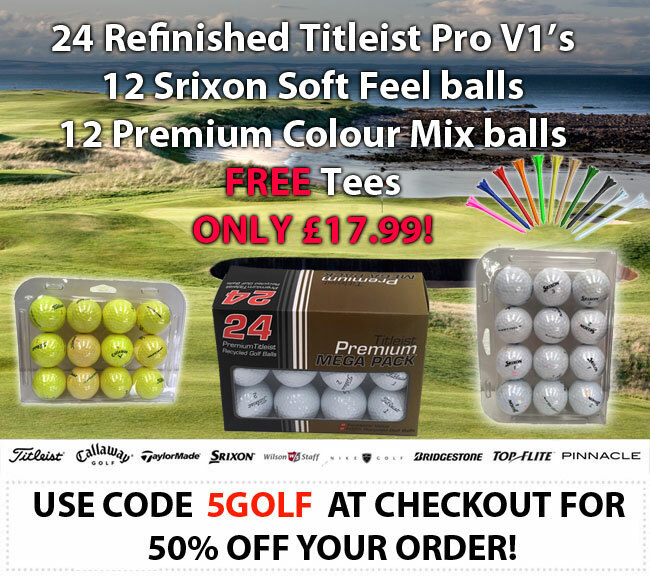 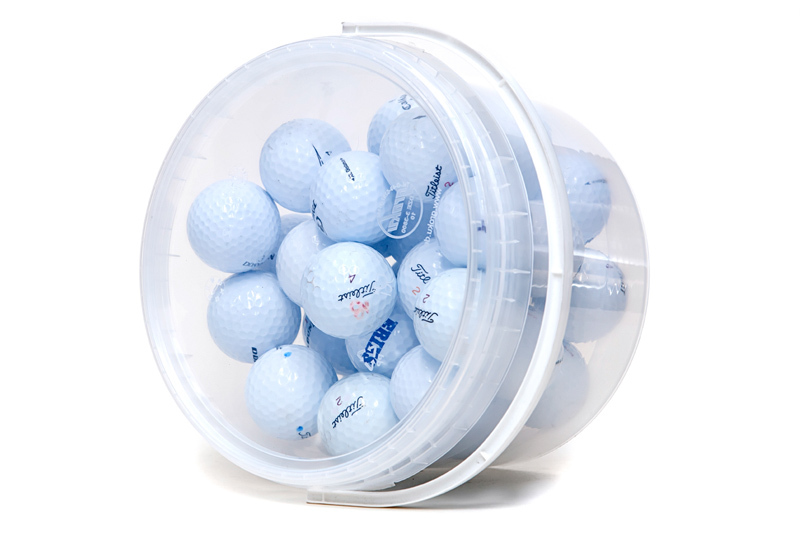 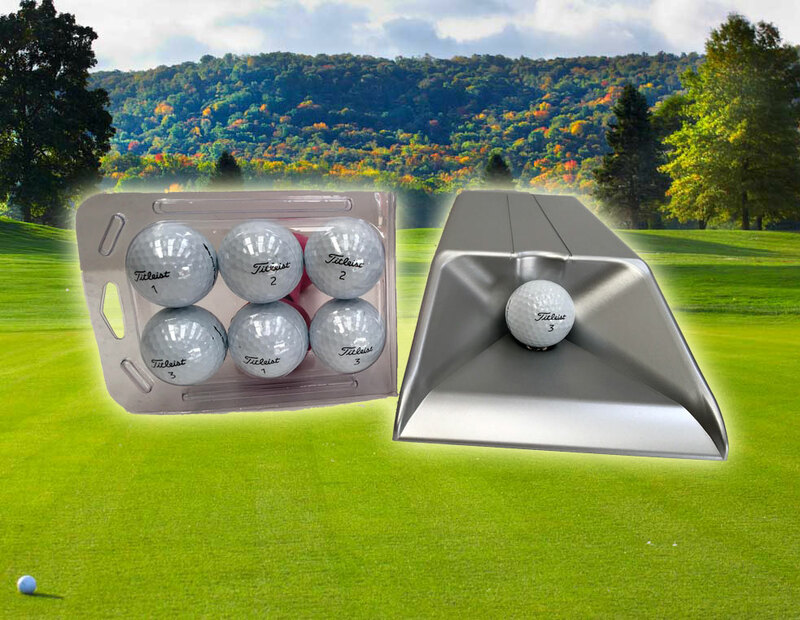 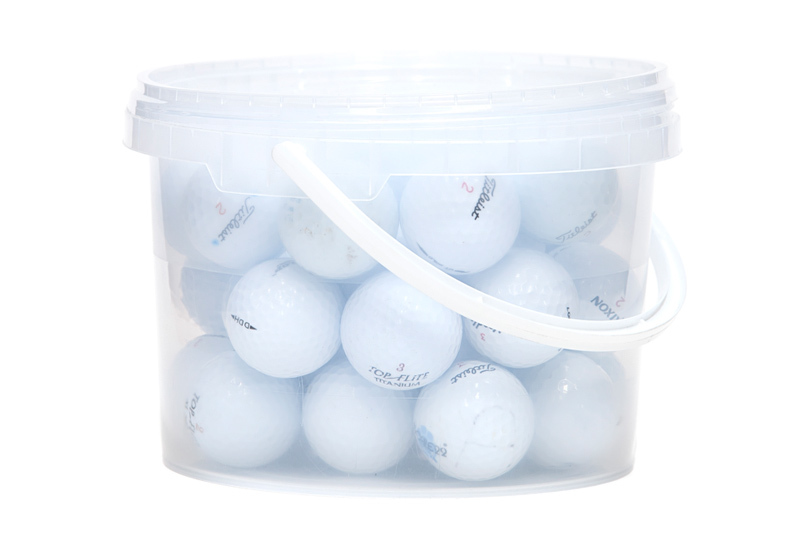 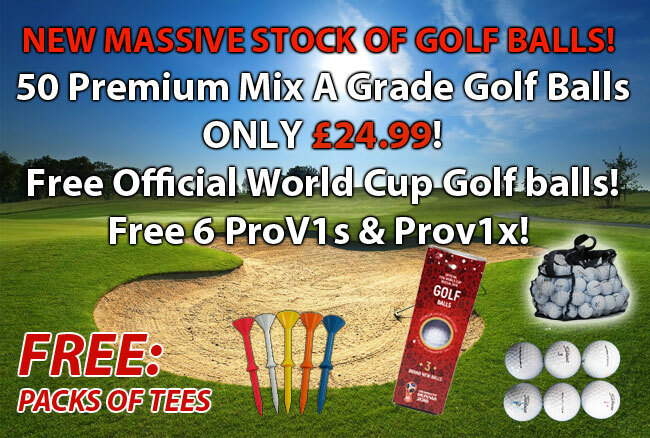 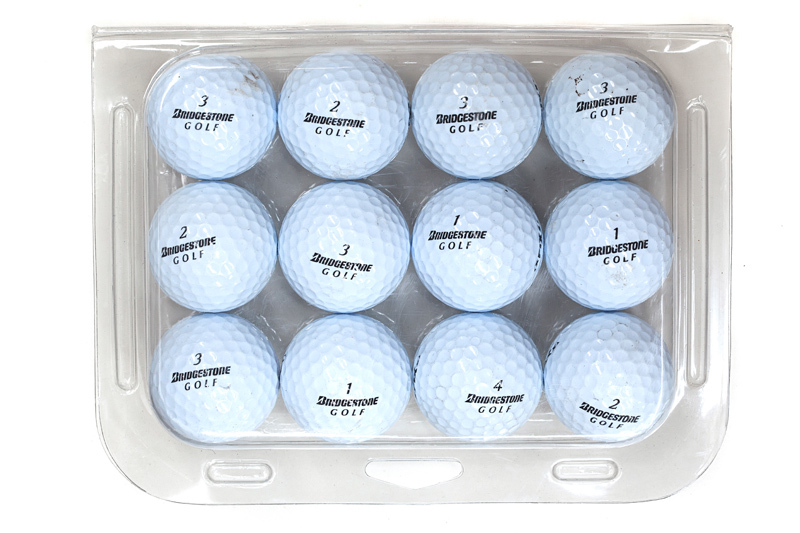 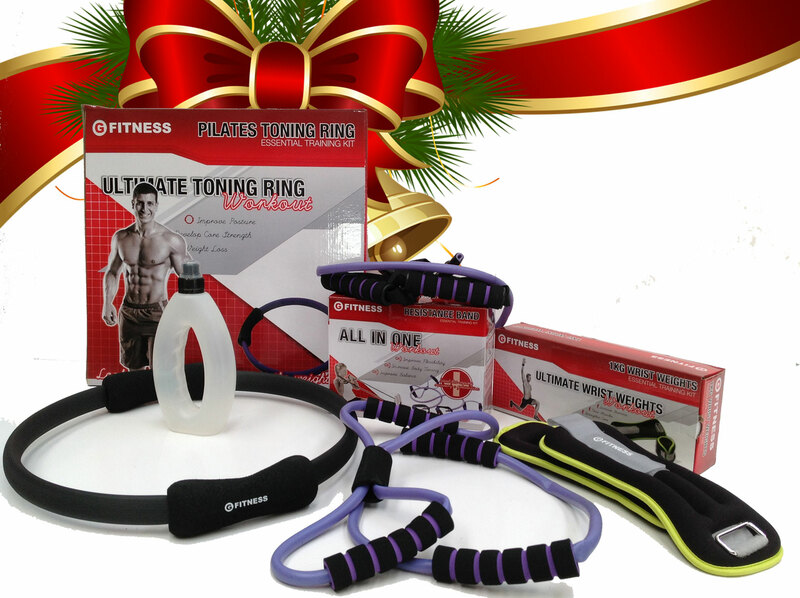 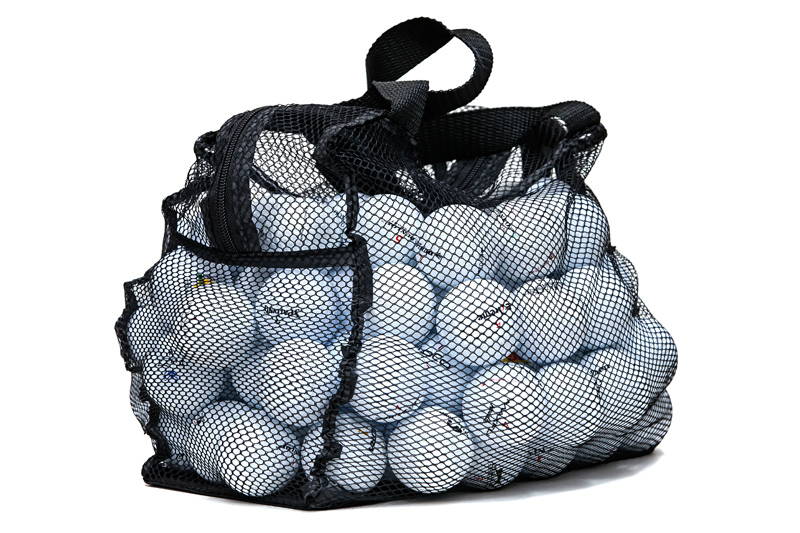 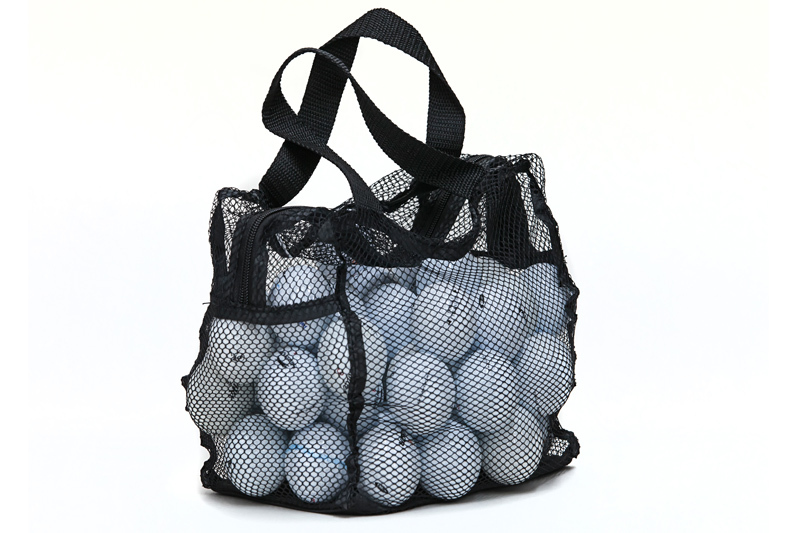 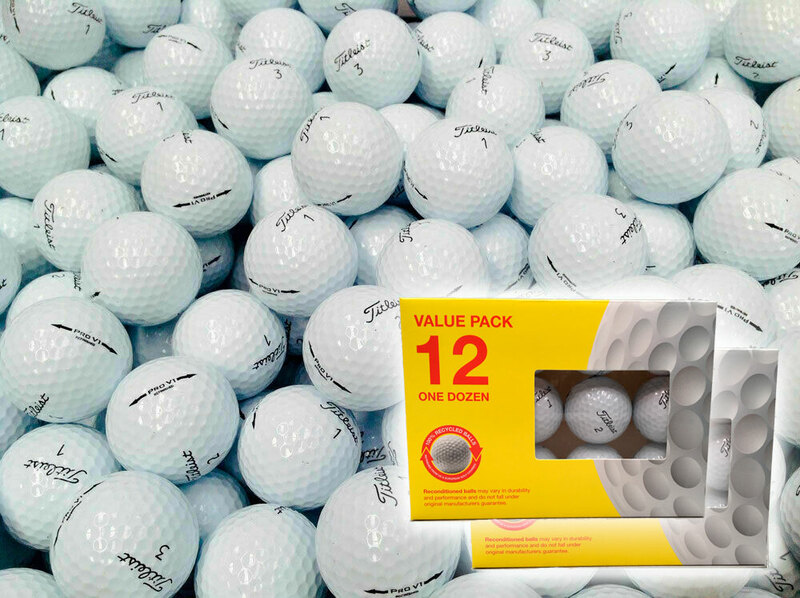 50 Premium Golf Mixd Golf Balls + Extra Free 12 Balls + Tees and Ring! 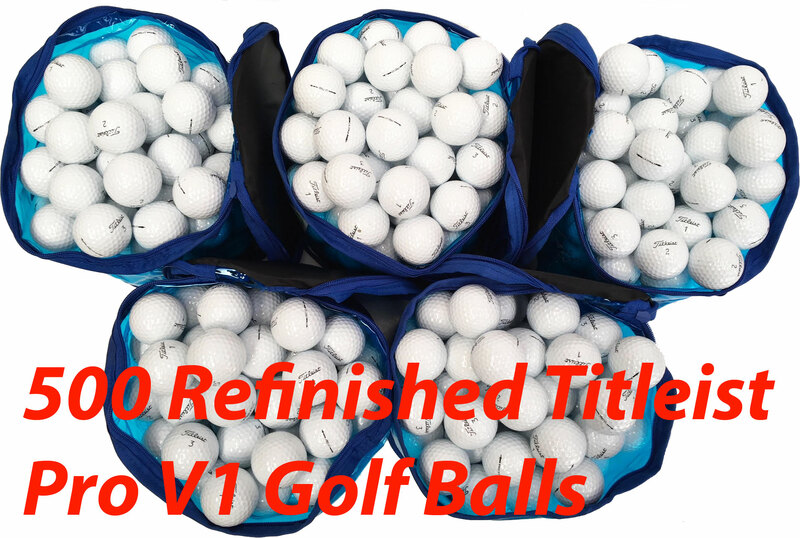 36 Refinished Pro V1 & 12 Titleist Mix Golf Balls, FREE tees, wrench, buttons! 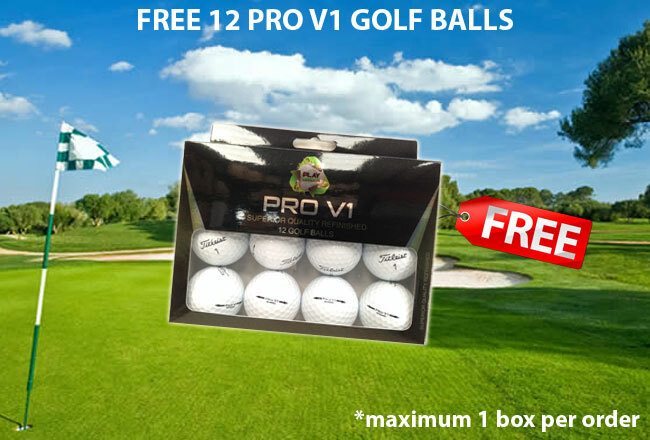 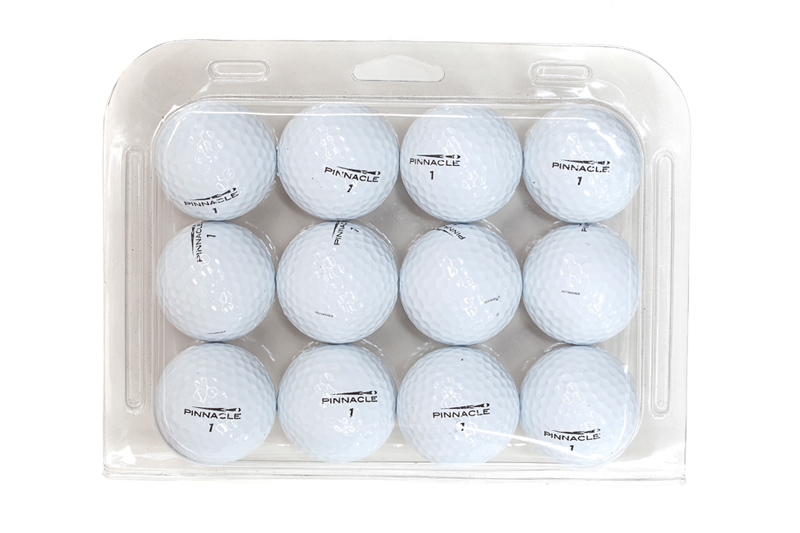 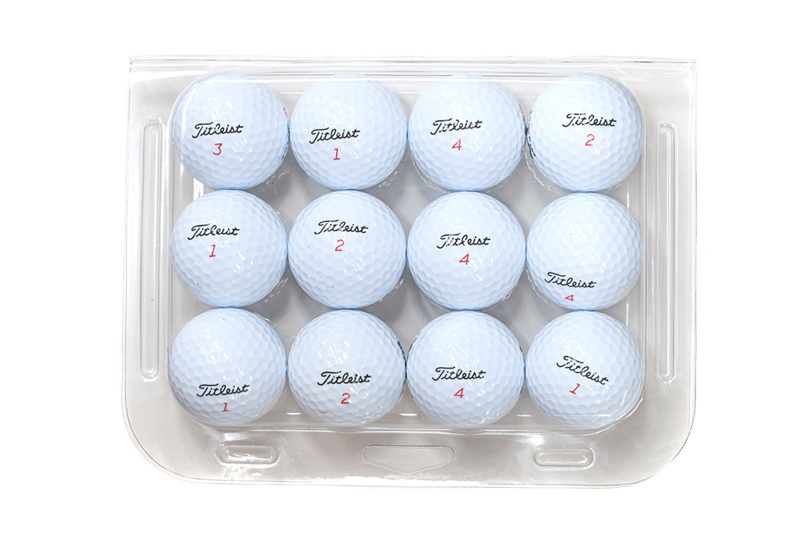 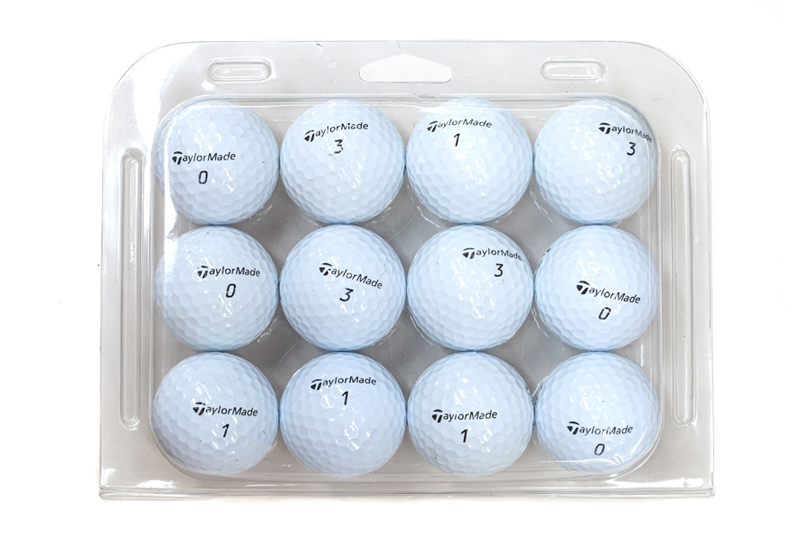 24 Refinished Pro V1 golf balls, 12 balls EXTRA FREE! 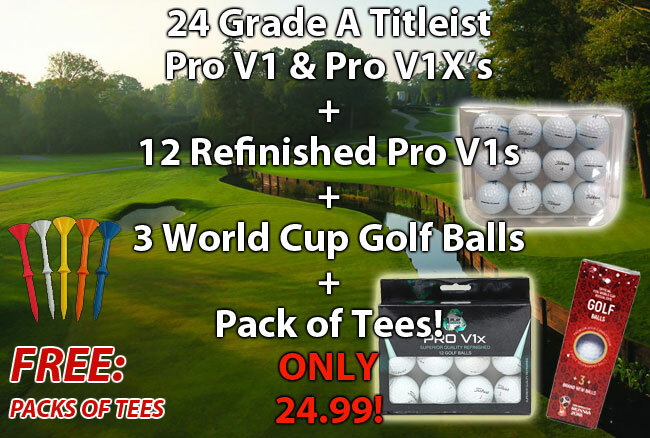 Tees & Cap! 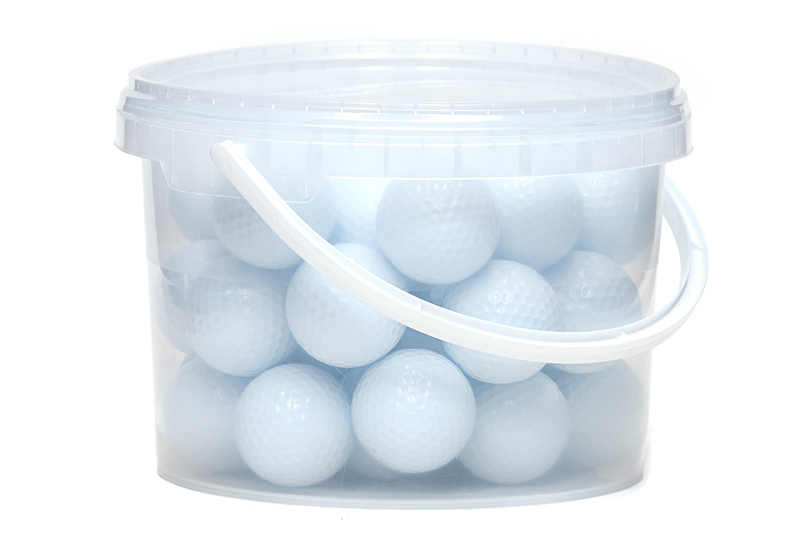 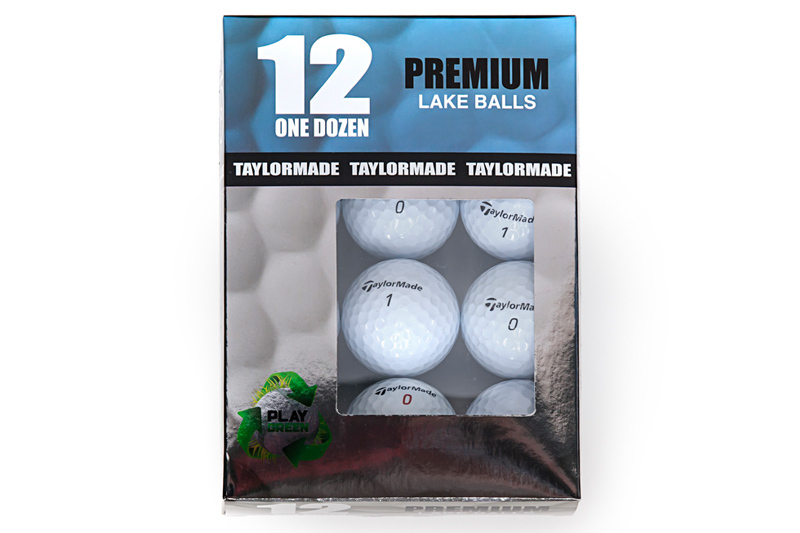 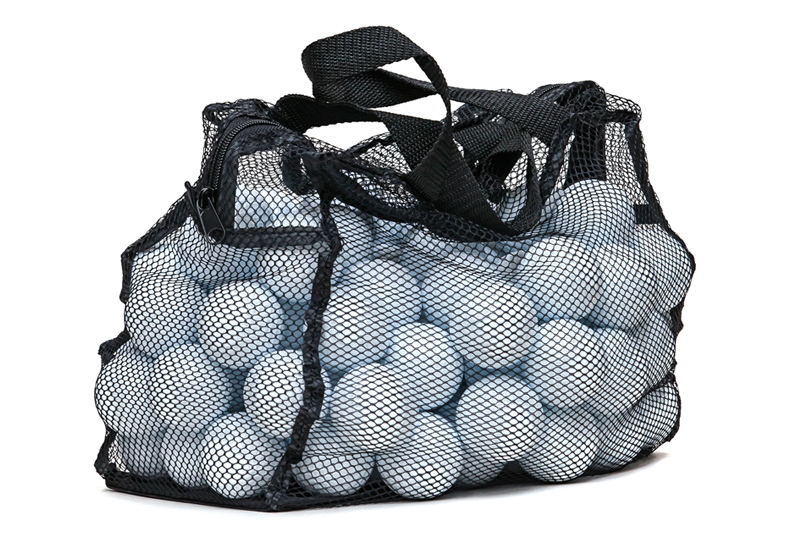 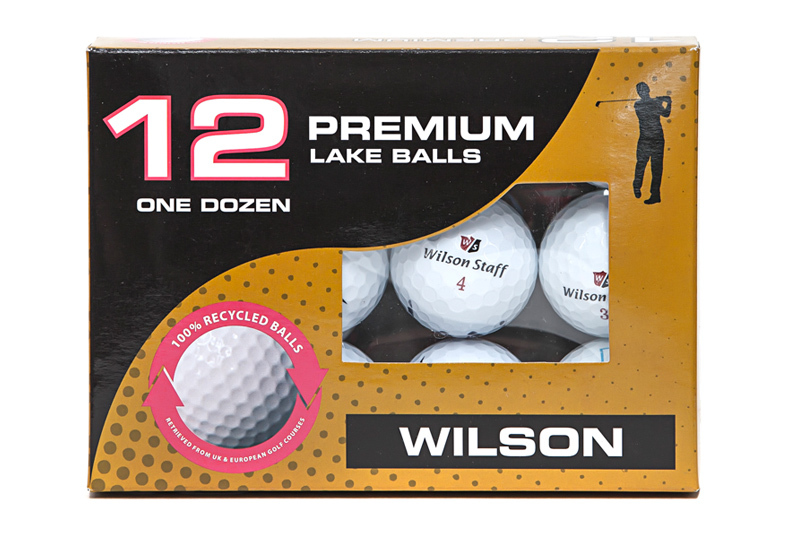 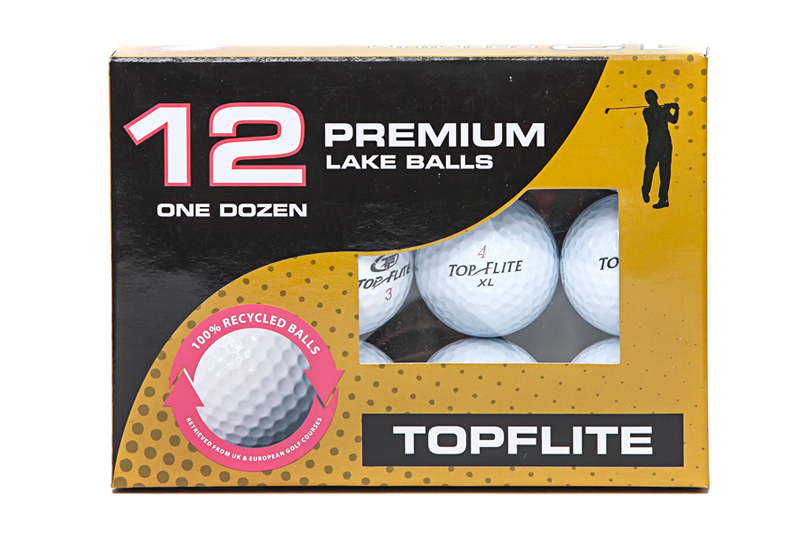 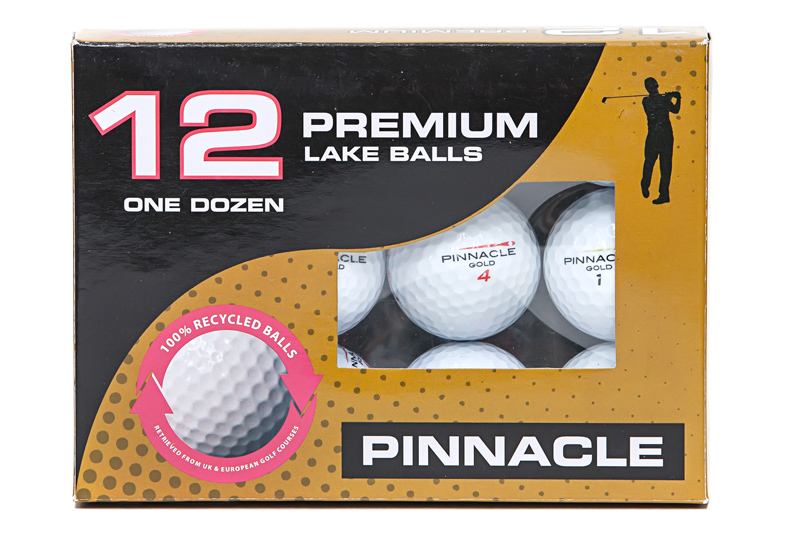 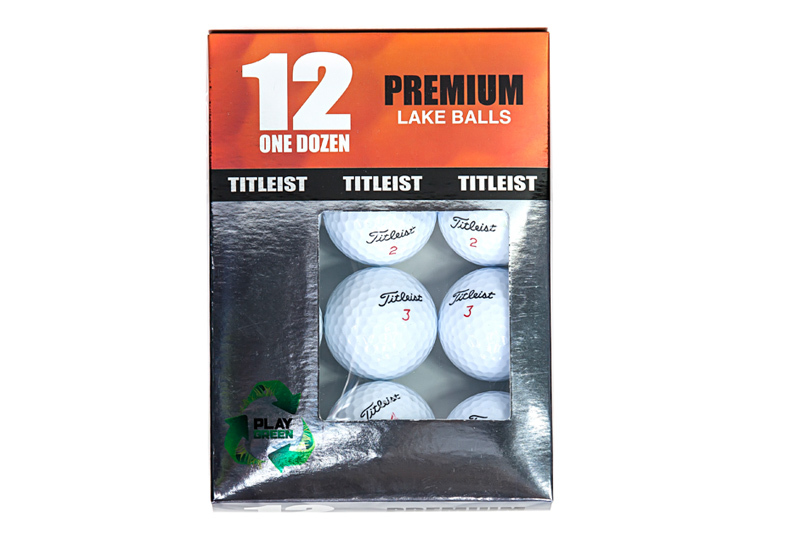 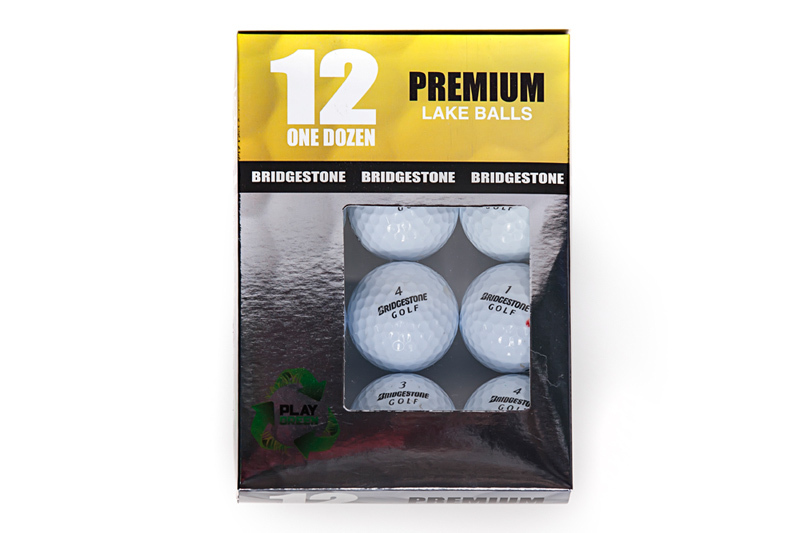 At, Lake Golf Balls, we stock over 2,000,0000 used & recycled golf balls recovered from lakes & other golf hazards in UK. 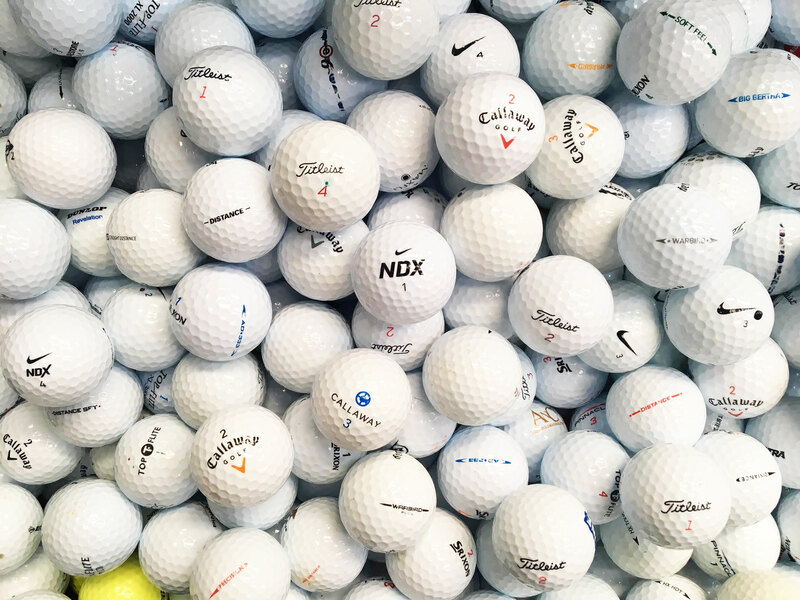 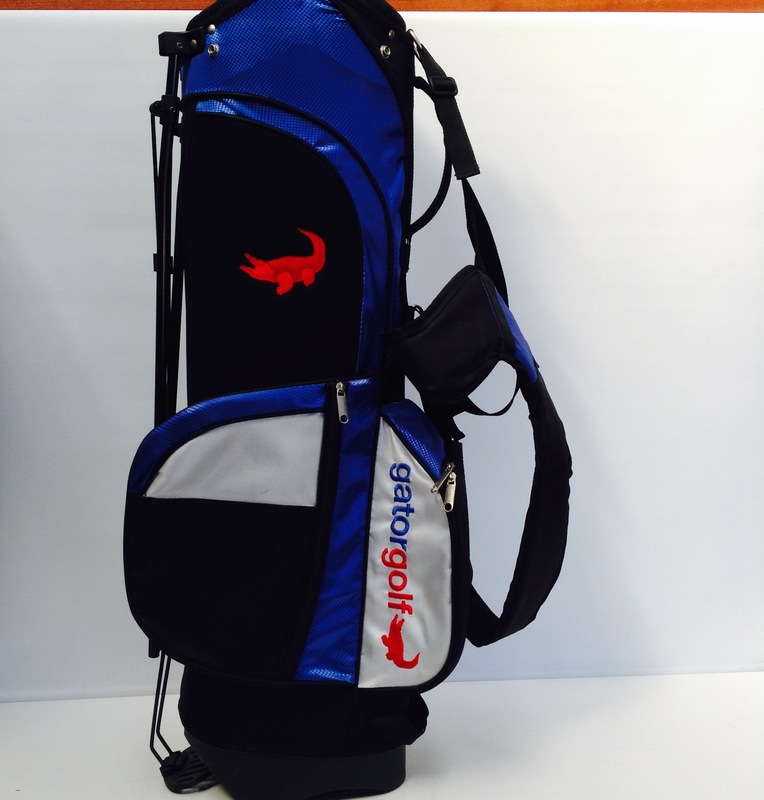 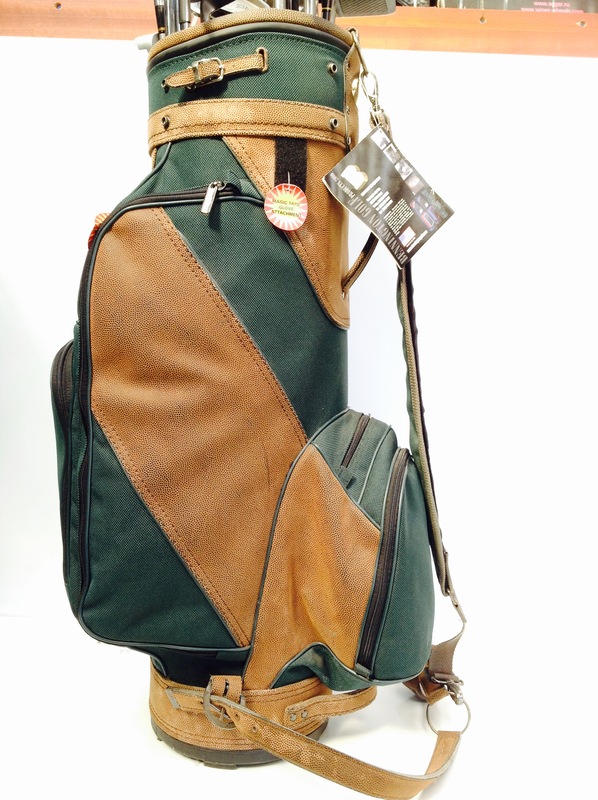 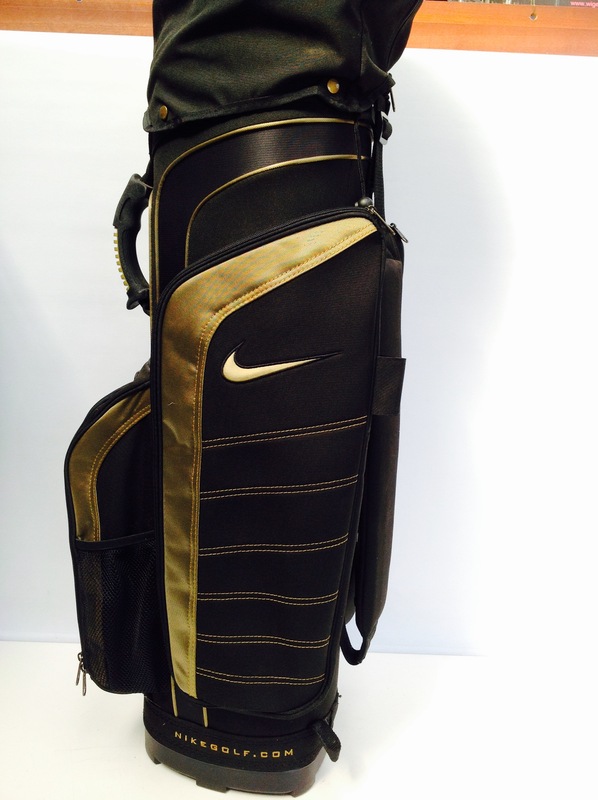 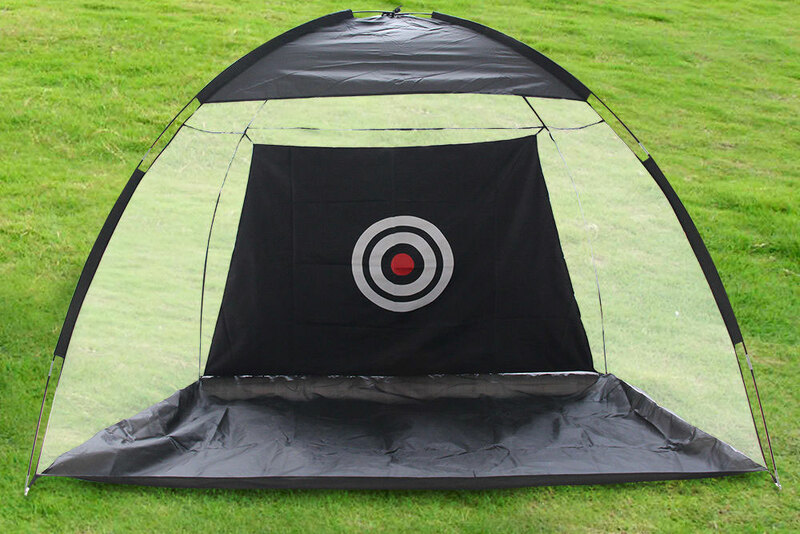 Golf brands include Titleist, Srixon, Callaway, Taylormade, Bridgestone, Pinnacle, Topflite and Nike. 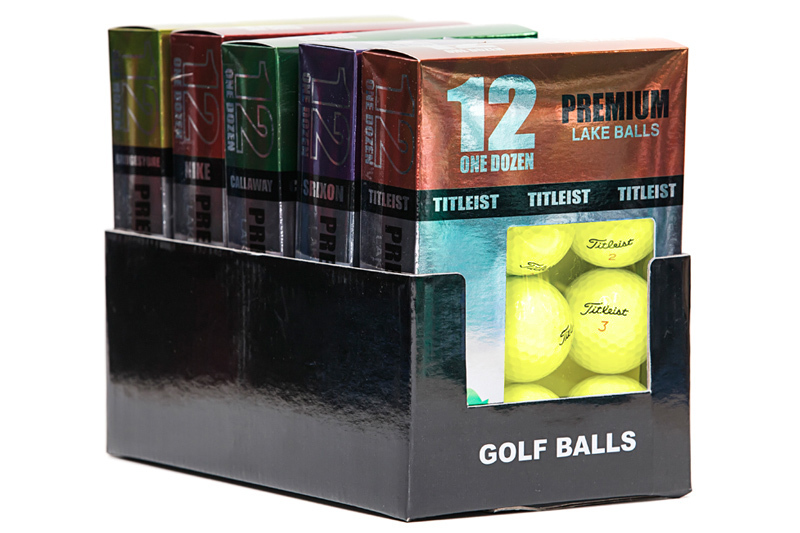 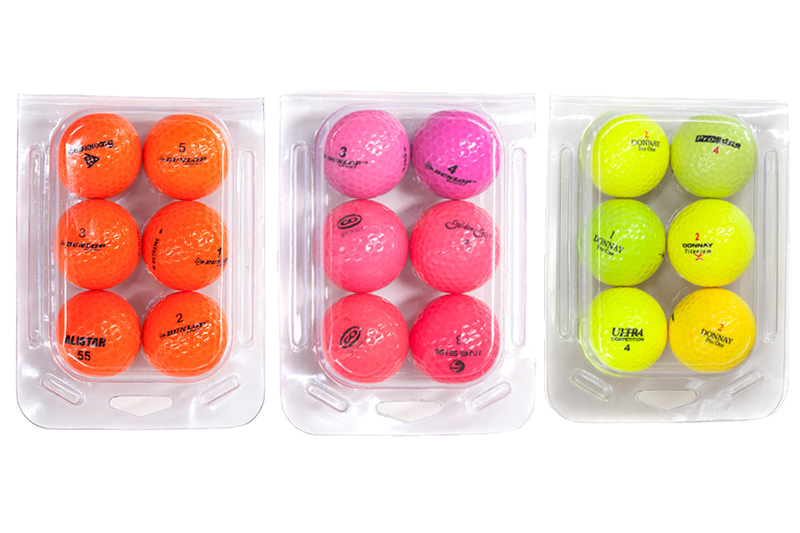 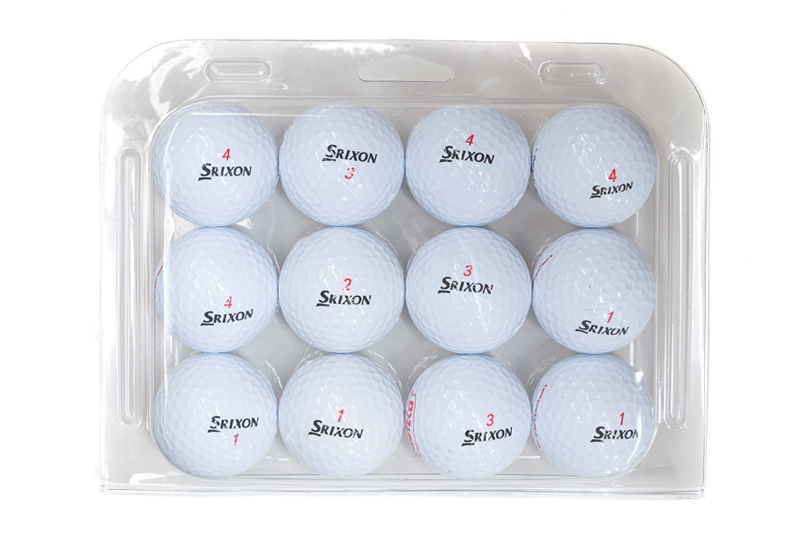 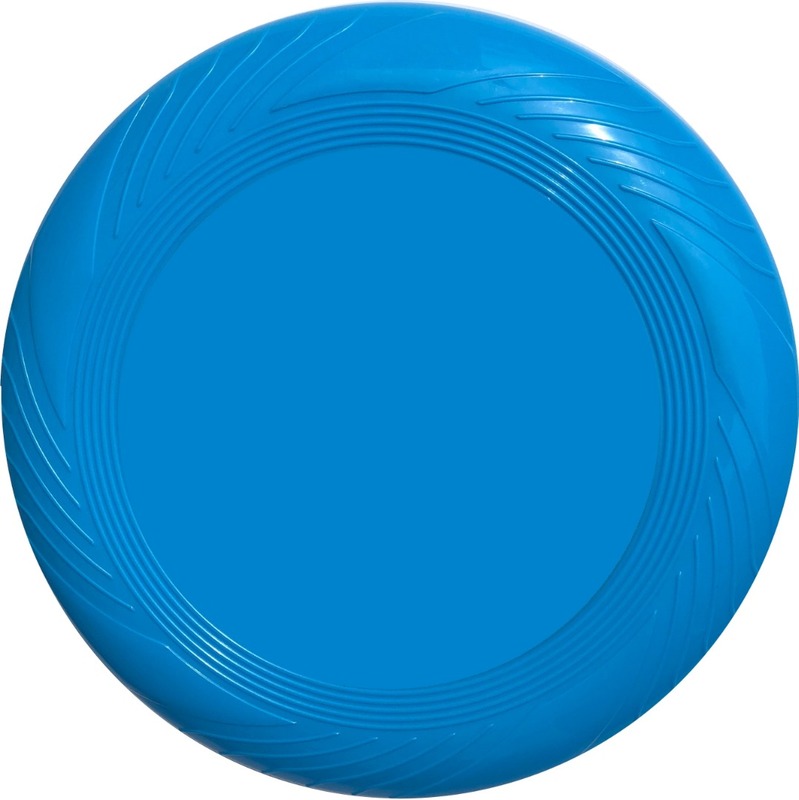 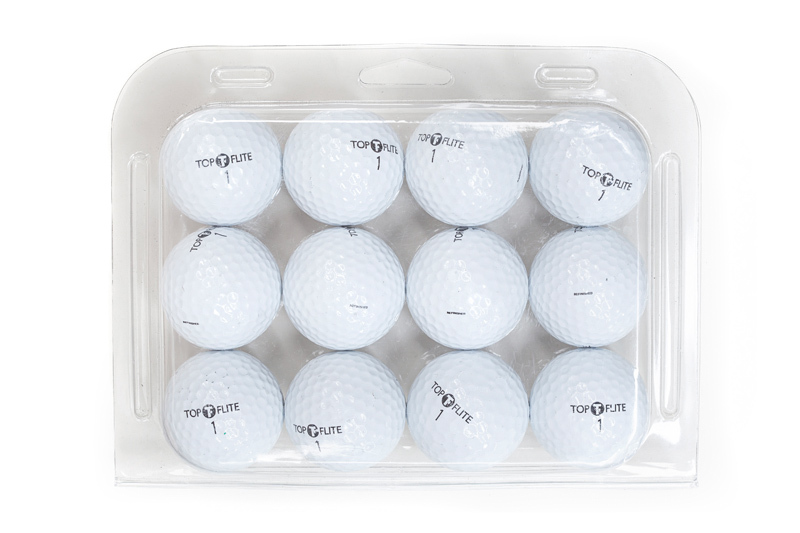 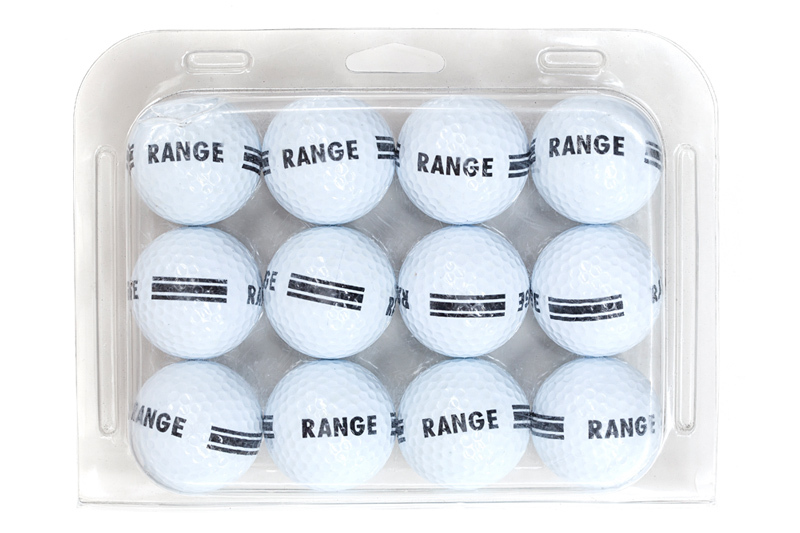 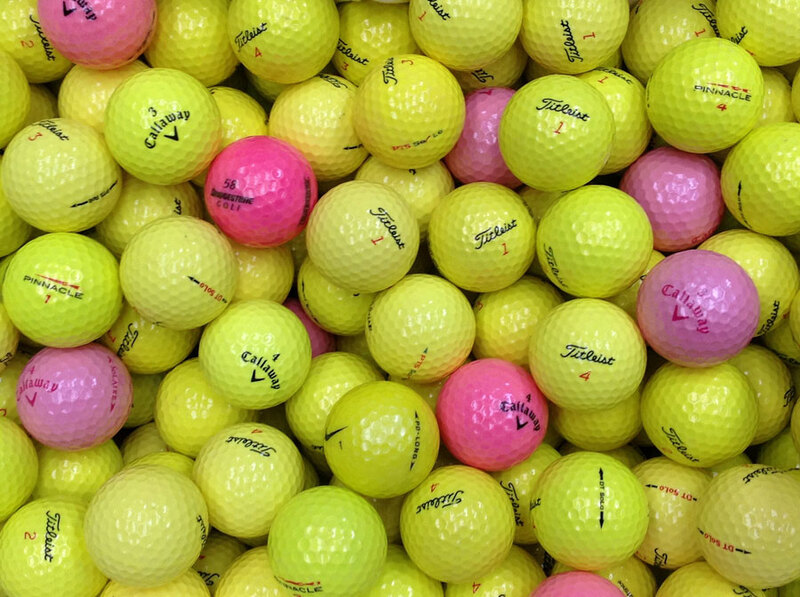 Are you running out of golf balls? 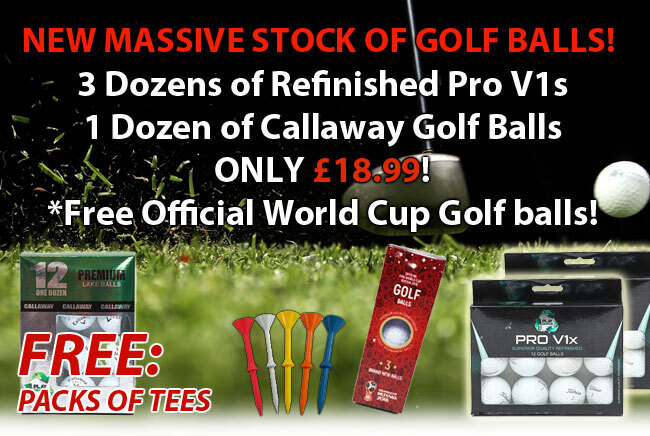 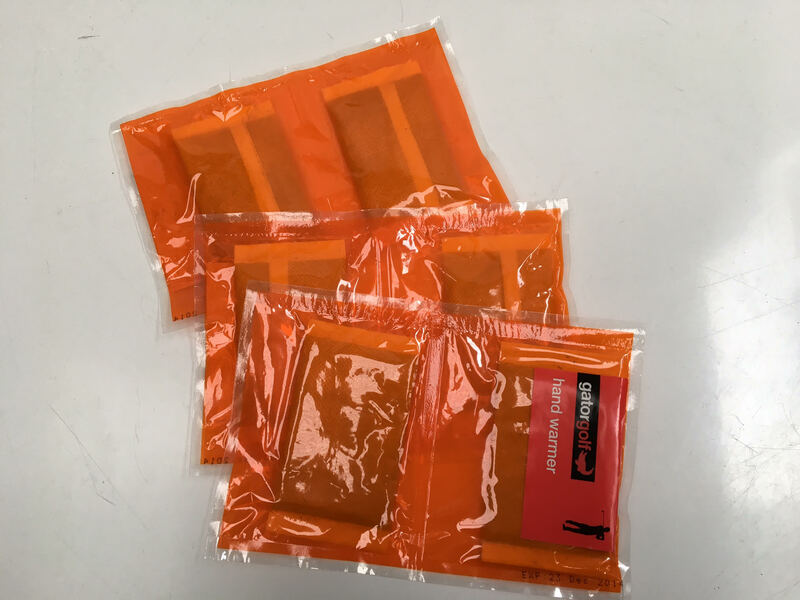 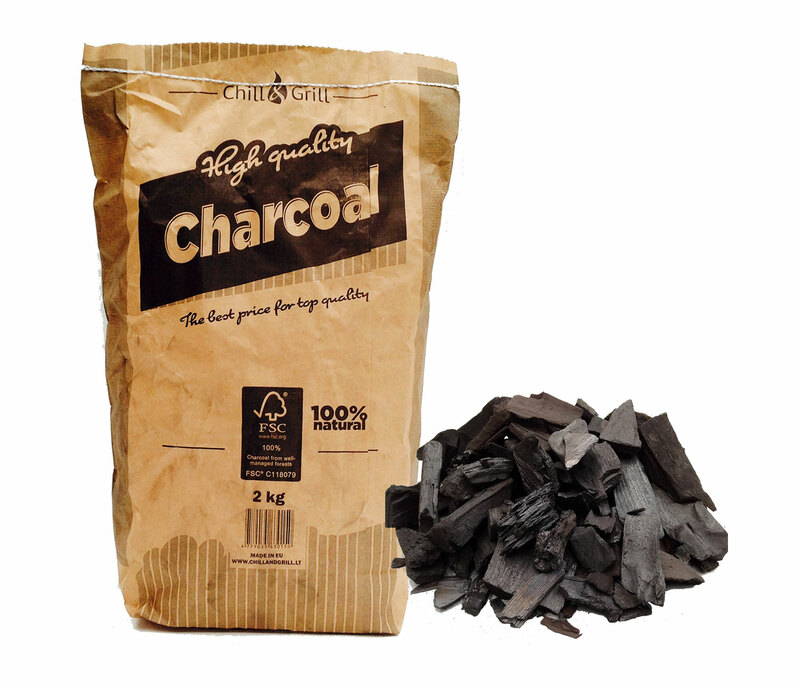 Drop us a line and one of our staff will be in touch to restock on golf balls and supplies "Matt was absolutely amazing. 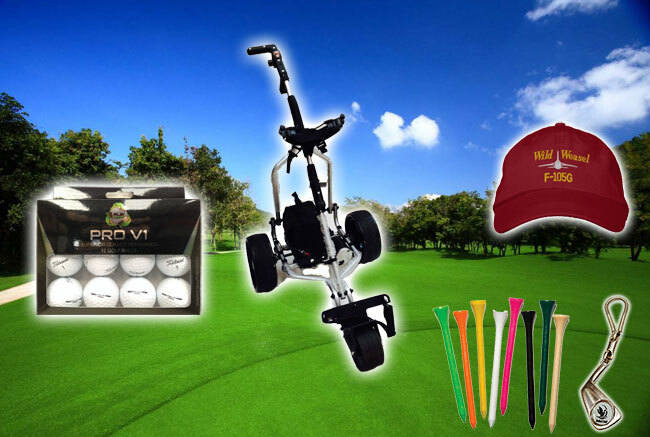 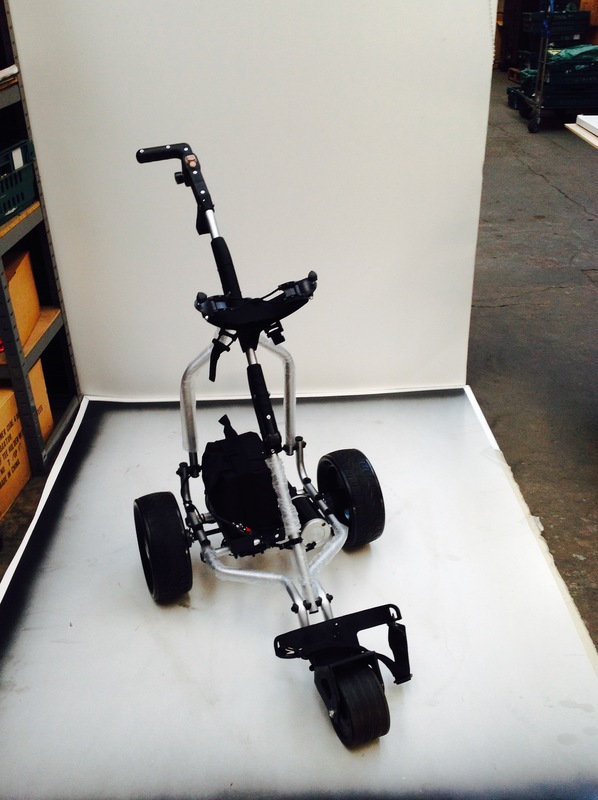 He took his time to go through requirements of our golf club and service was next to none. 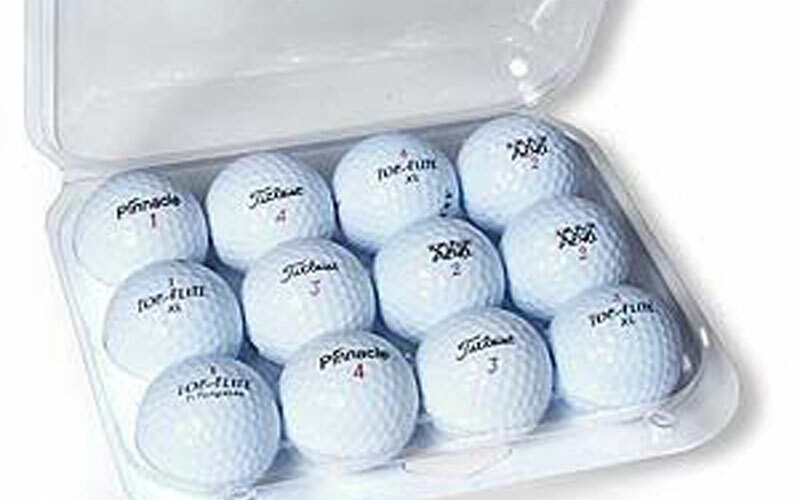 If we ever need golf balls again Matt will be our contact once again!"